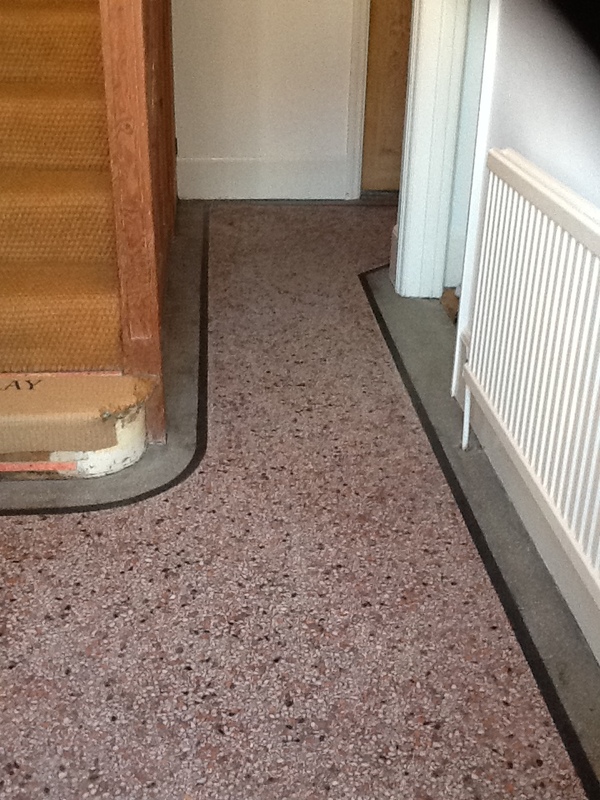 This Terrazzo tiled hallway at a property in Northampton was in a really bad state. 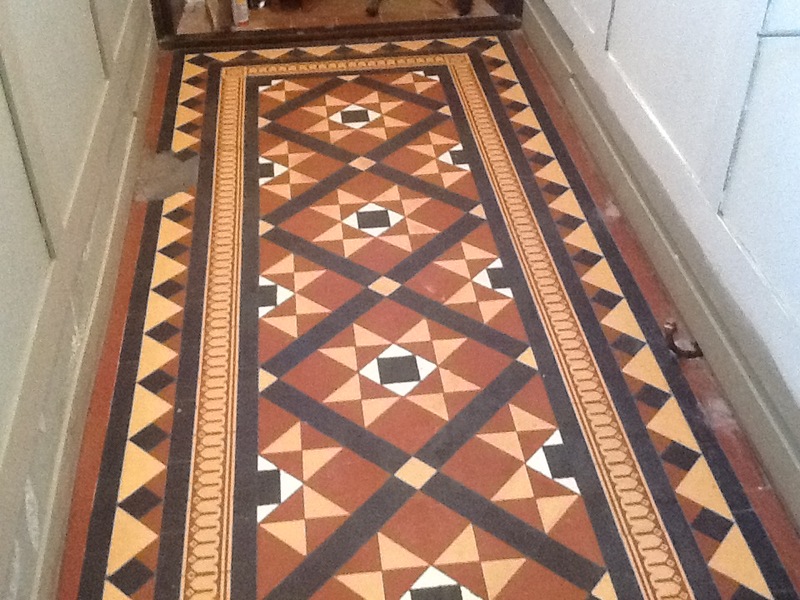 It was heavily soiled and suffered from glue marks where the original carpet covering it had been removed. Additionally, there was some damage to the edges of the doorway, and a large crack in the floor running across the width of the hallway. 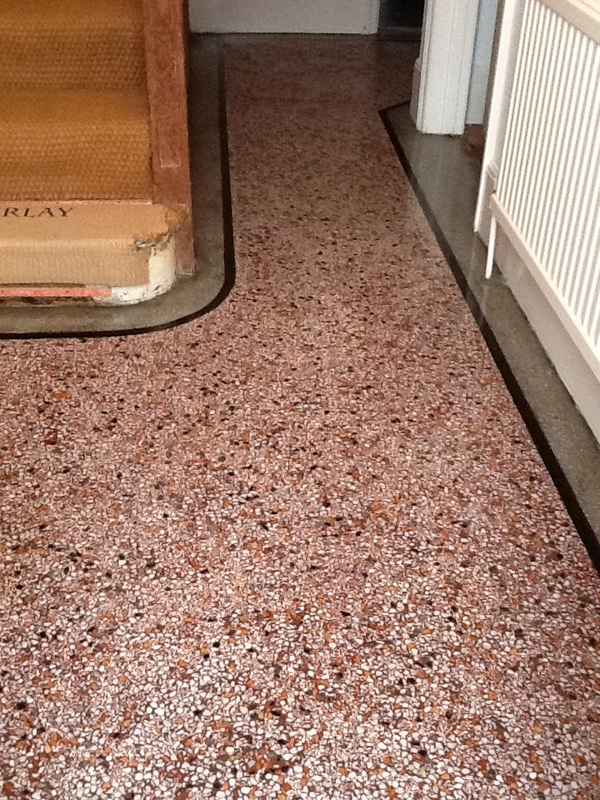 Terrazzo is an interesting material, originally produced in Italy, that consists mainly of concrete with segments of marble and other stone interspersed and held together with a resin. 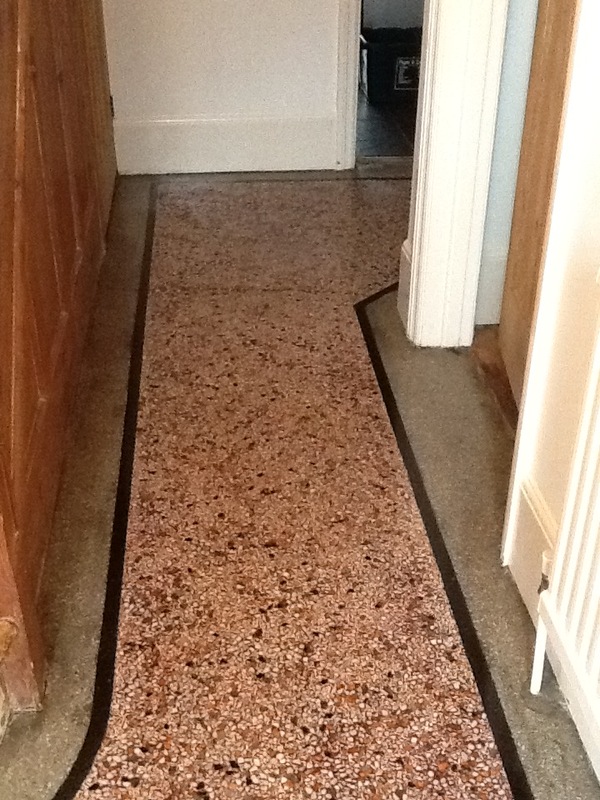 Since Terrazzo is formed in this way, I explained to the customer that I would fill the crack along the floor and the small holes around the edges with concrete, before then using tile paint to match in the colours as best as possible. 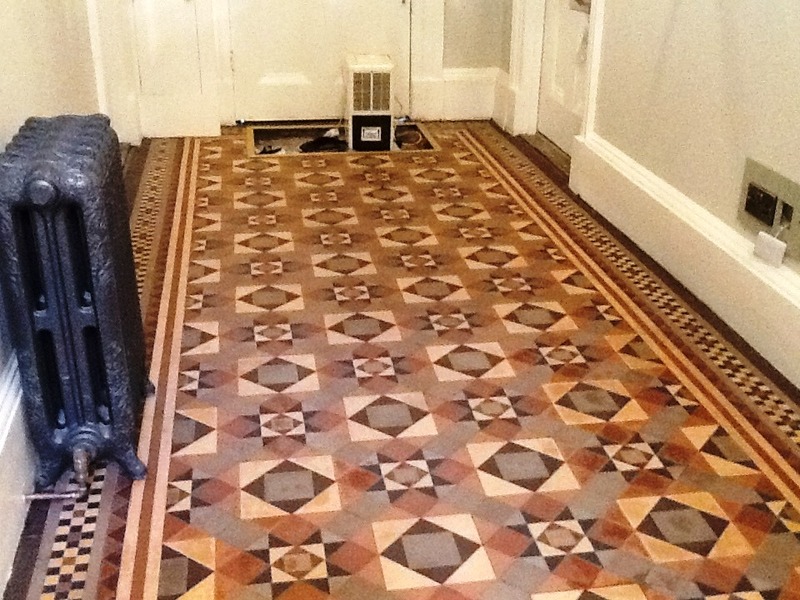 This would be the most cost-effective solution, which was ideal since the customer had a limited budget for the repairs. Before beginning the restoration, I tested a small area using a diamond encrusted burnishing pad, thereby giving the customer an indication of the type of results that could be achieved. 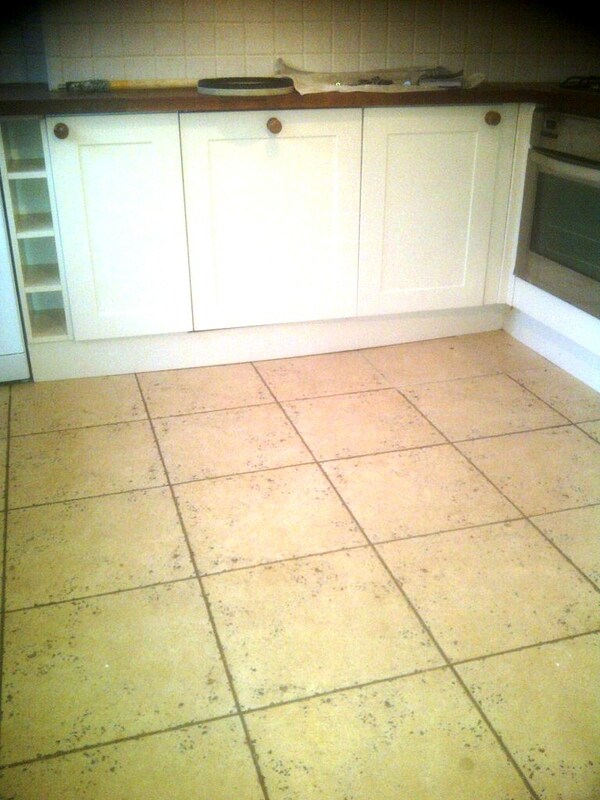 With the customer pleased by the results, the job was booked in for the following week. 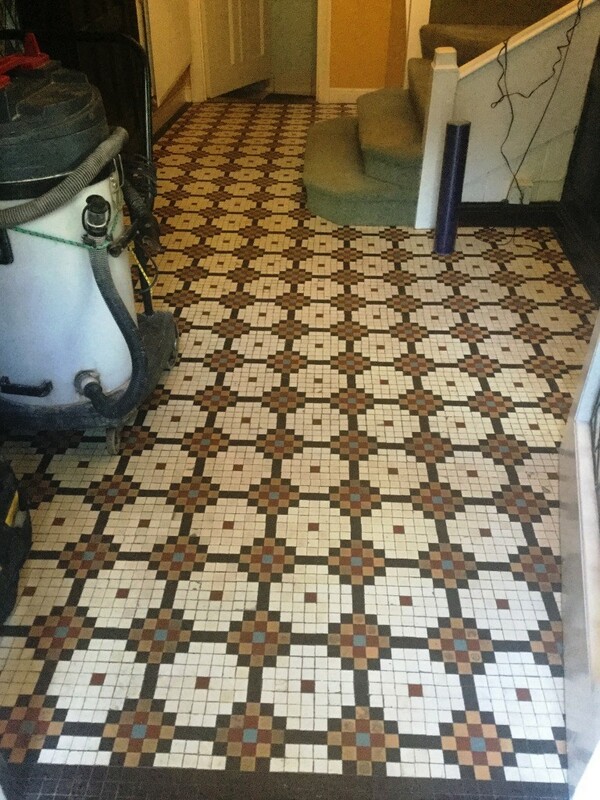 To begin, Tile Doctor Remove & Go was applied to the floor and was left to dwell for ten minutes to soften the carpet glue and break down any old sealer. 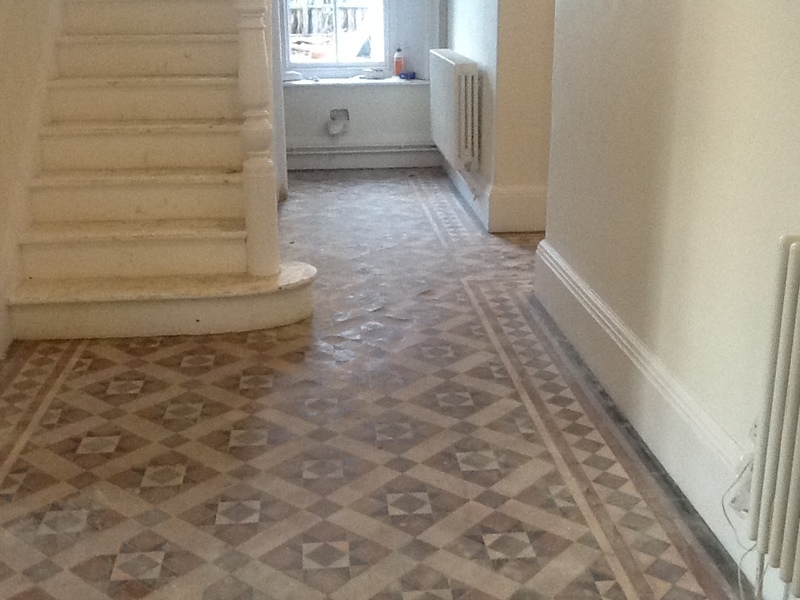 This was then scrubbed in to the tiles with a pad fitted to a rotary machine. To remove the remaining residue and marks in the particularly stubborn areas, I used a manual hand scraper. 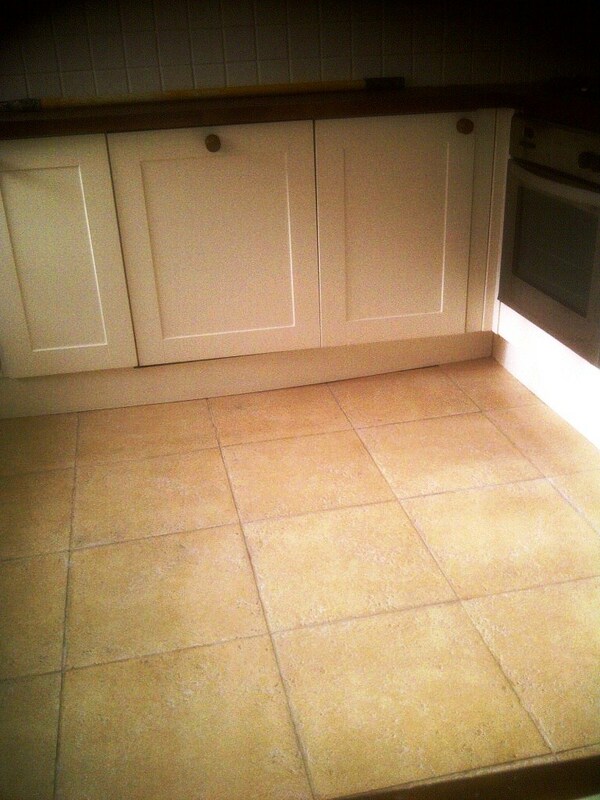 The entire floor was then wet vaxed to soak up the soiled cleaner and leave the area clean for burnishing. 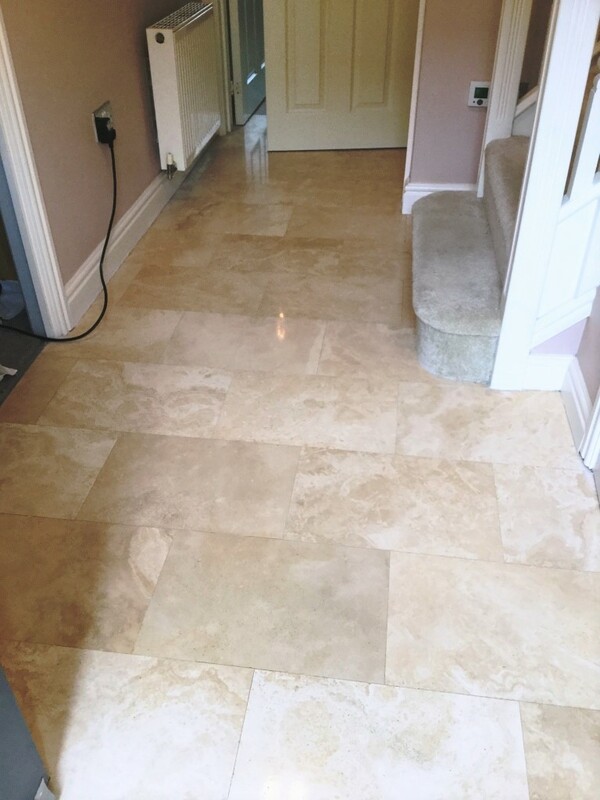 This was followed by the use of Tile Doctor diamond encrusted burnishing pads to polish the tiles, starting with a coarse grit pad, followed by wet vaxing and repeating the process with a medium grit pad and finally the fine grit pad to achieve the desired effect. I then installed a turbo dryer to dry the floor. 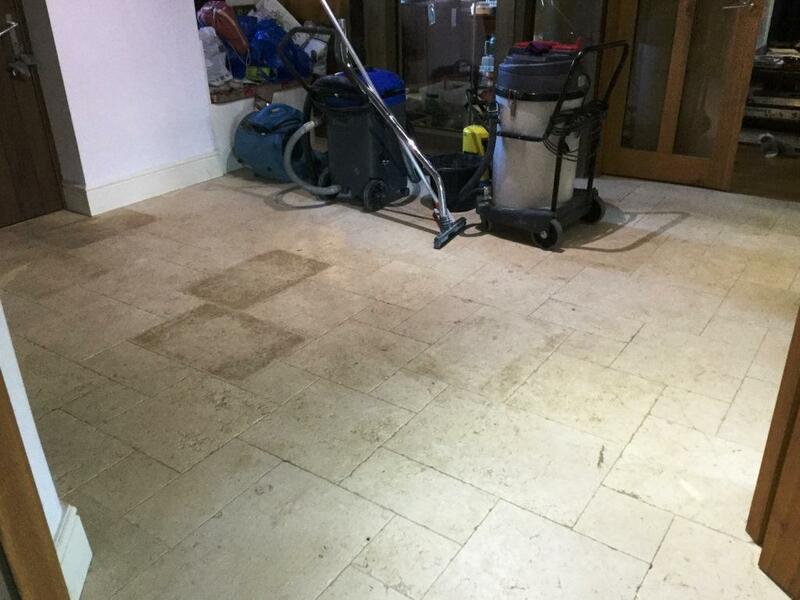 I returned to the property once the floor was dry and carried out the repairs which had been discussed earlier with the customer (filling the holes and cracks in the floor with concrete), cleaning off any concrete residue before I finished for the day. Upon my return to the property the next day, I refined the polish on the floor even further by applying the extra fine grit burnishing pad. 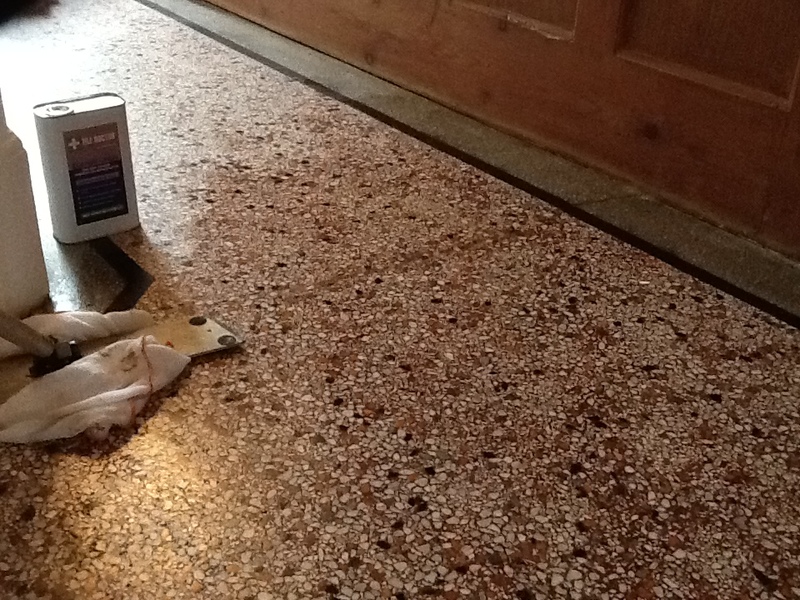 To finish off the three day restoration, I sealed the Terrazzo tiles using two coats of Tile Doctor Colour Grow sealer. 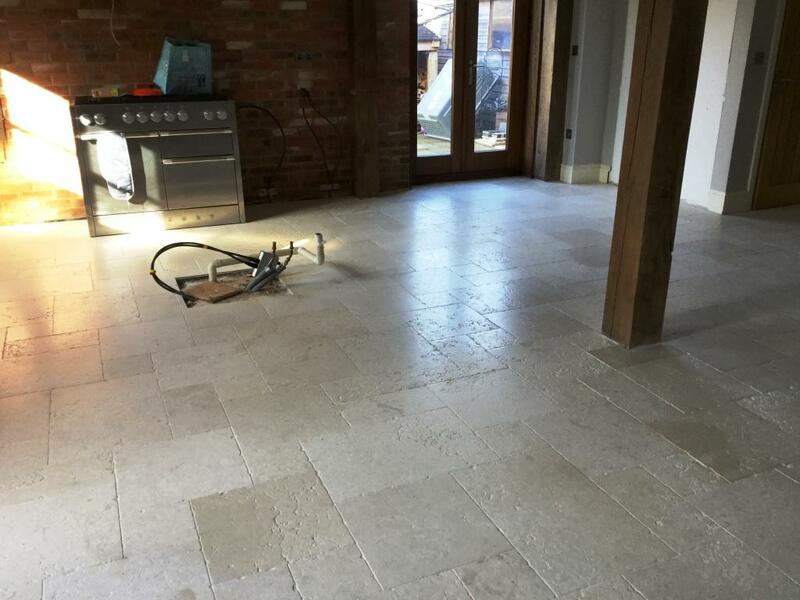 As an impregnating sealer, Colour Grow soaks into the pores of the stone, protecting it from ingrained dirt. Colour Grow also contains colour intensifying properties, allowing it to enhance the naturally occurring shades in the stone, and therefore stopping it from appearing dull. 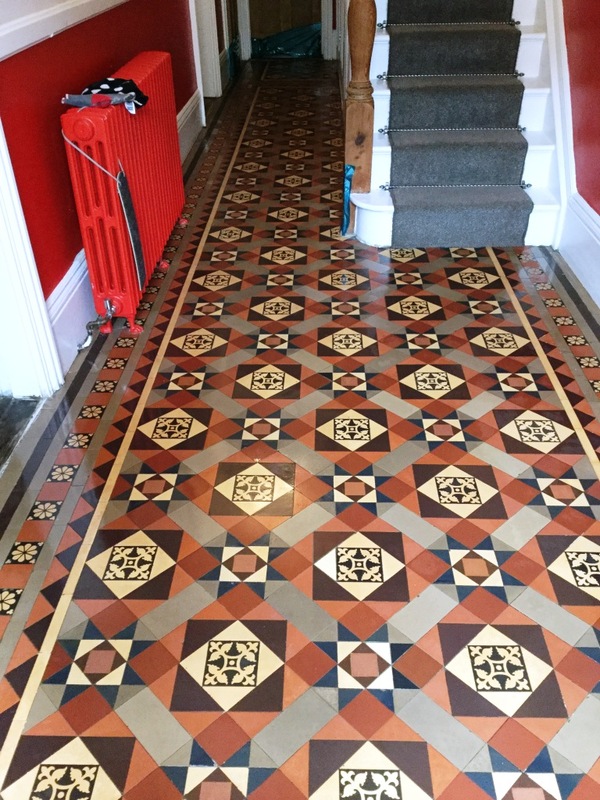 This floor certainly was in a bad state, with damage as well as dirt to deal with, but I’m pleased to say that the work went a long way in transforming its appearance, leaving a very happy customer. 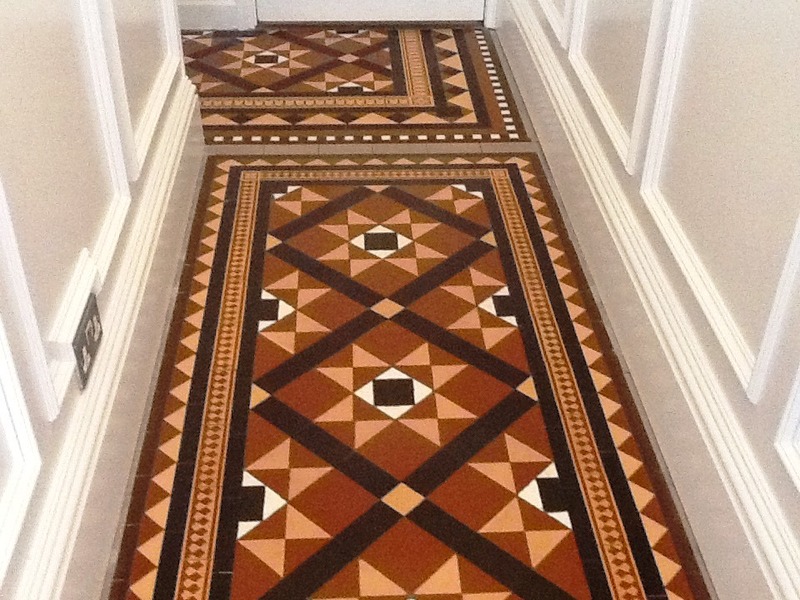 This hallway floor was actually at a house in the town of Stamford which is just over the northern border of Northamptonshire and slightly out of my area; however I was recommended to the owner by another client which is always welcome and a testimonial in itself. 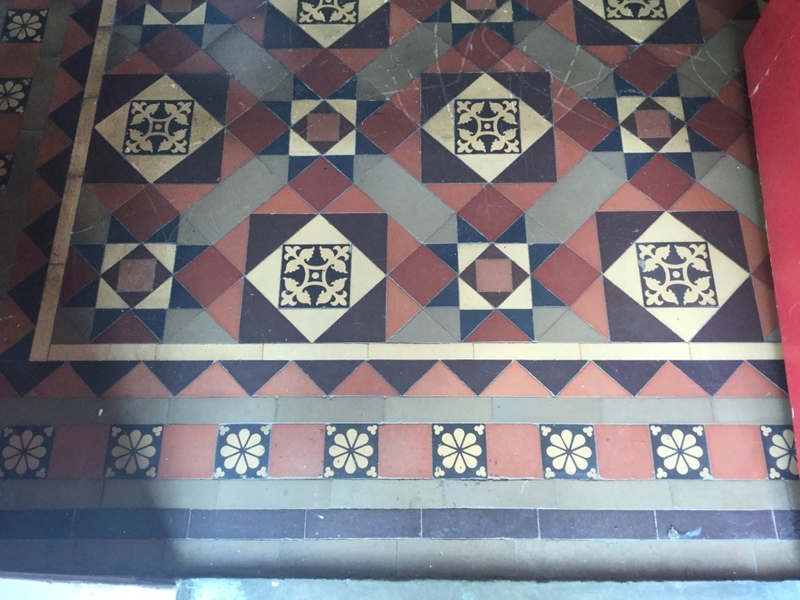 I work right across the county so it wasn’t long before I was in the general area and arranged a visit to carry out an inspection of the Victorian Quarry tiled floor and provide a quote for a full restoration. 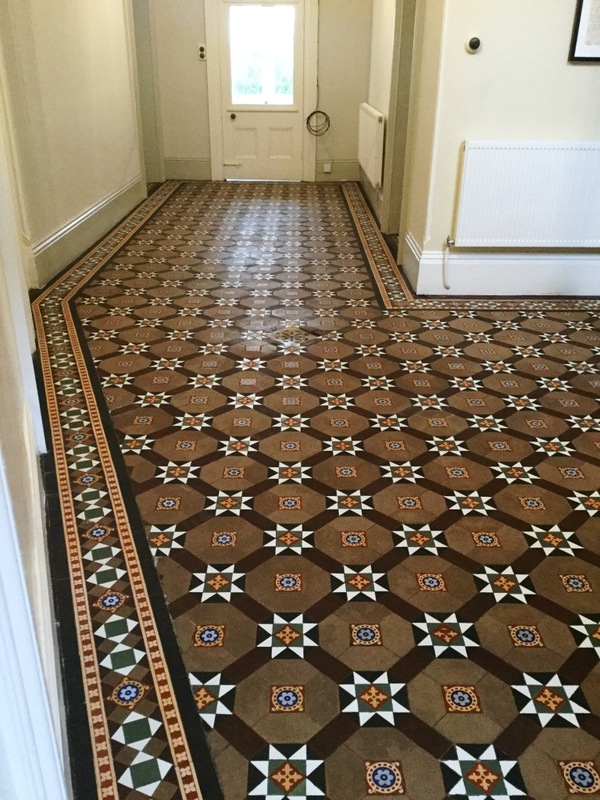 The owner of the house had just moved in recently and although the floor was in good overall physical, it was in need of a thorough clean and new seal to bring back some life to the tiles. 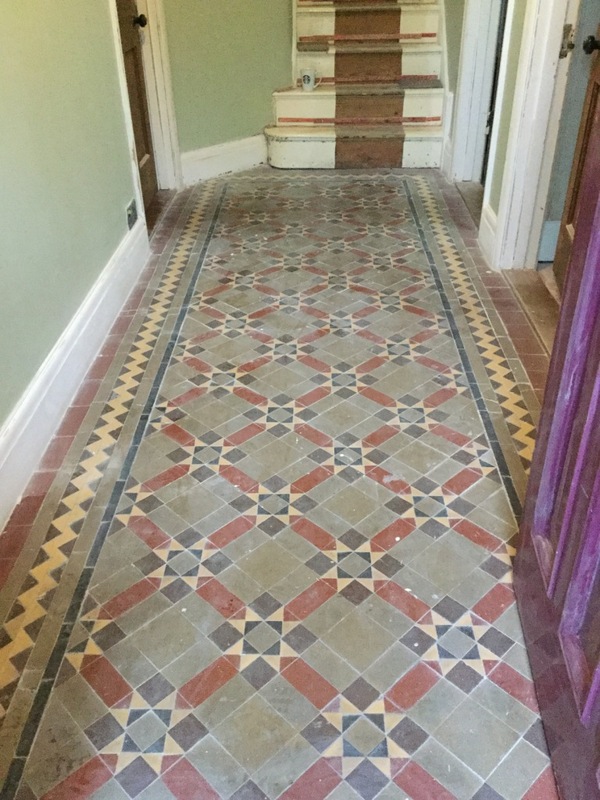 Additionally she was having lots of other building work done to the house and she wanted to retain this as an original feature of the property. My quote was accepted and I was able to book the work in for the following week. 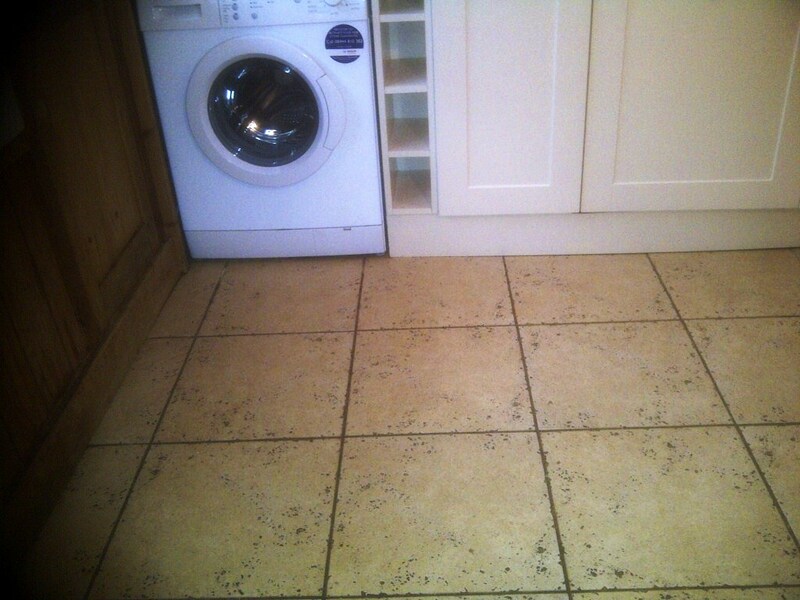 These first photos show how dull the floor looked due to a build-up of builder’s dust and general wear and tear. They also show some of the equipment needed to undertake the following cleaning process. 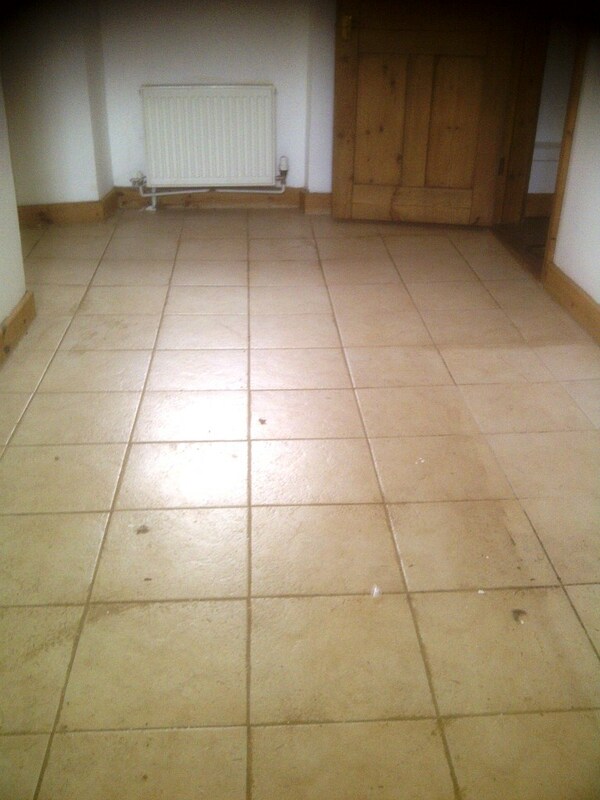 I used a brush and vacuum to remove as much loose debris and dust from the surface of the floor as possible. 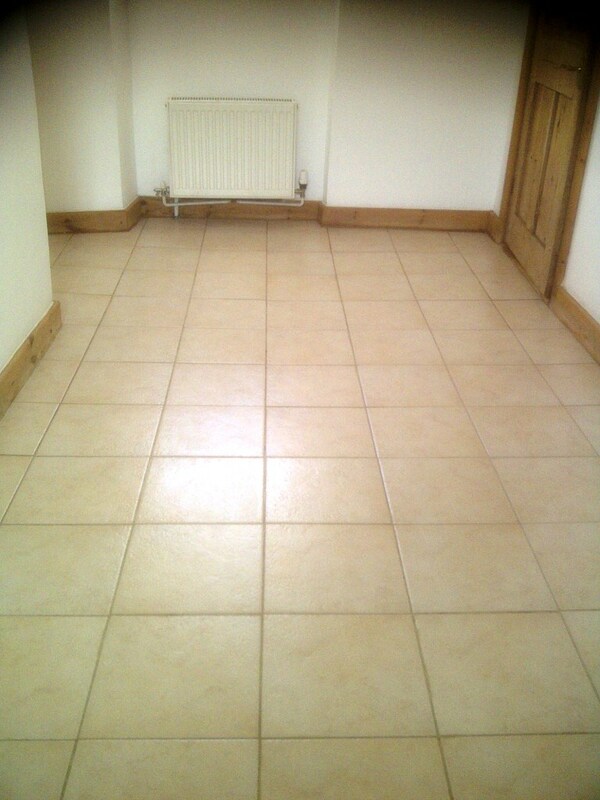 I then applied a strong dilution of Tile Doctor Pro Clean to the floor which is a strong alkaline cleaner which can also be used to remove sealers; the solution was left it to dwell for roughly ten minutes before agitating it with scrubbing pads and brushes to remove the muck that was lifted to the surface. This was then wet-vacuumed twice to remove all the slurry and neutralise any chemicals. As it was such an old property I then used a steamer to heat up the tiles and draw up any contaminants and assist with the drying process. I also chose to install two fans and a dehumidifier to dry the floor even further. 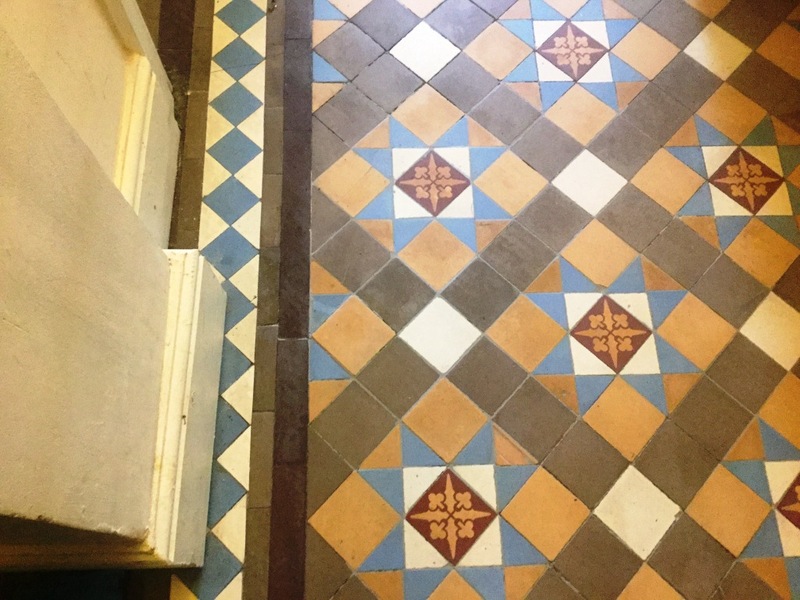 With the cleaning process complete – and achieving a marked difference to the appearance of the floor – I left the tiles to finish drying for 24 hours. Upon my return to the house, I checked for any excess moisture by running damp tests as this has the potential to affect the performance of the sealer. 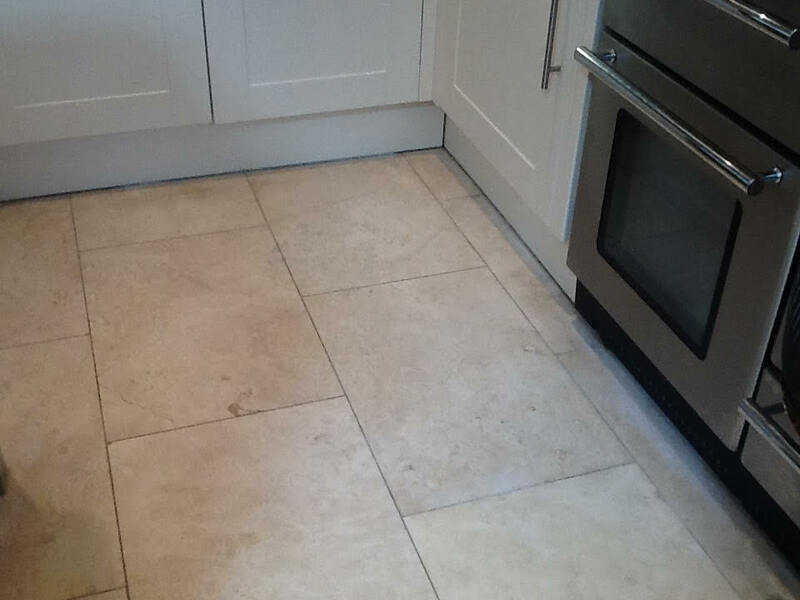 Once satisfied with the results, I sealed the floor with two coats of Tile Doctor Colour Grow, a colour enhancing sealant which offers both a robust surface seal and an aesthetically pleasing finish. I also carried out water repellency tests to ensure the sealer was working as expected and the floor had sufficient protection and will be hard-wearing for a hallway which is a high traffic area. On my client’s return to the house she was very happy with the final results – in fact, she was also in contact about some further work in the New Year! 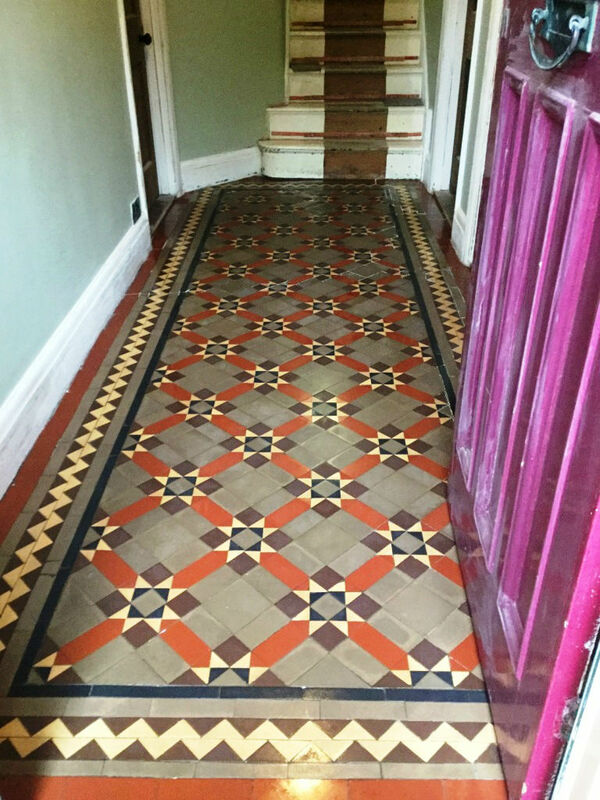 Here’s a job I completed just before Christmas last year, at a house in Northampton which has a rich history and mix of architectural styles. 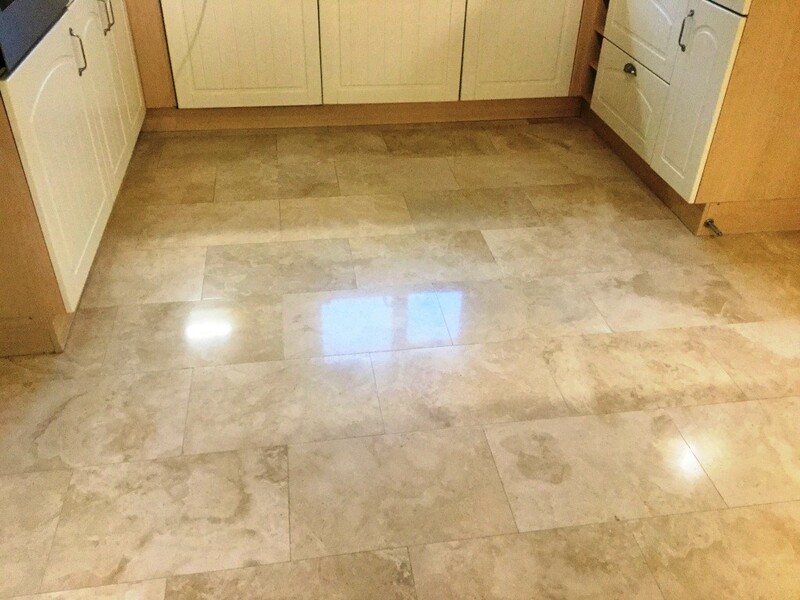 The run up to Christmas is always popular as people try to get their household projects finished off in time for celebrating the festive season with family so this is always a busy time for Tile Doctor. 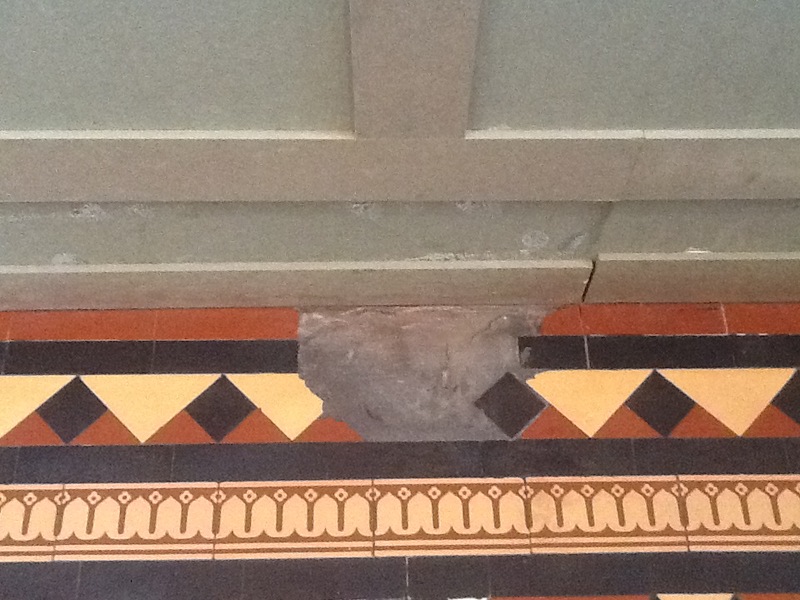 The photos below show a neglected Victorian Quarry tiled floor in need of repair, with cracked tiles along the edges. These were caused by somebody in the past using brute force to remove carpet gripper rods which had been glued to the tiles. These cracks were present around the edges of the entire hallway, however; this particular type of tile is very hard to get hold of. 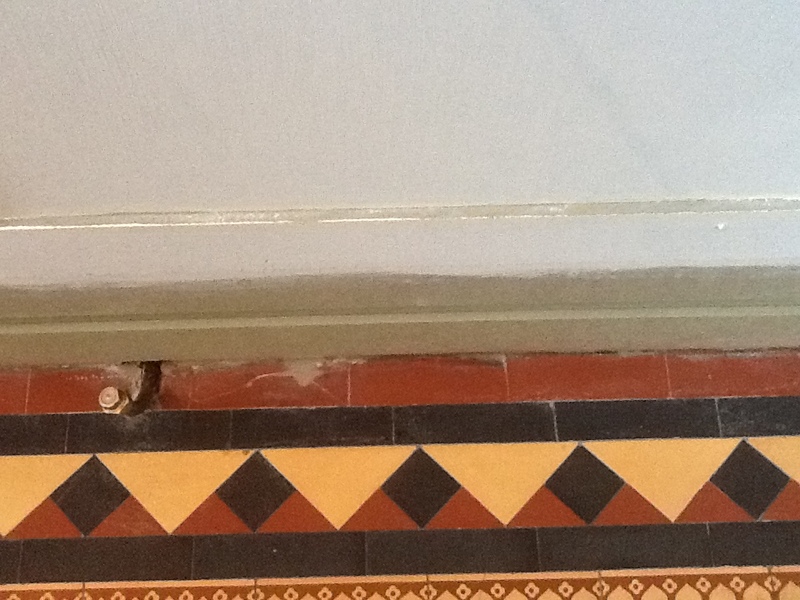 Furthermore, it is a costly process to replace the tiles as the skirting boards would have had to have been removed. 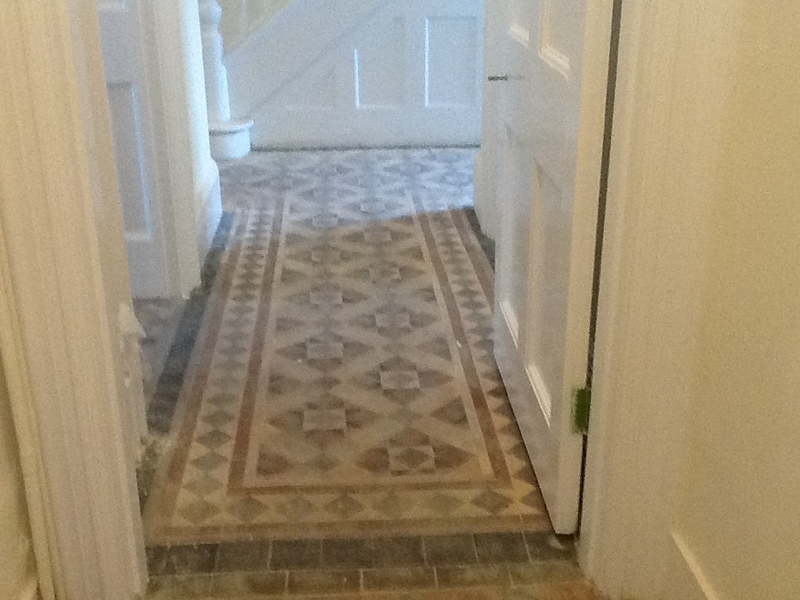 As well as the physical issues the floor had a dull appearance due to the build-up of builder’s dust and the general wearing down of the paintwork over time. 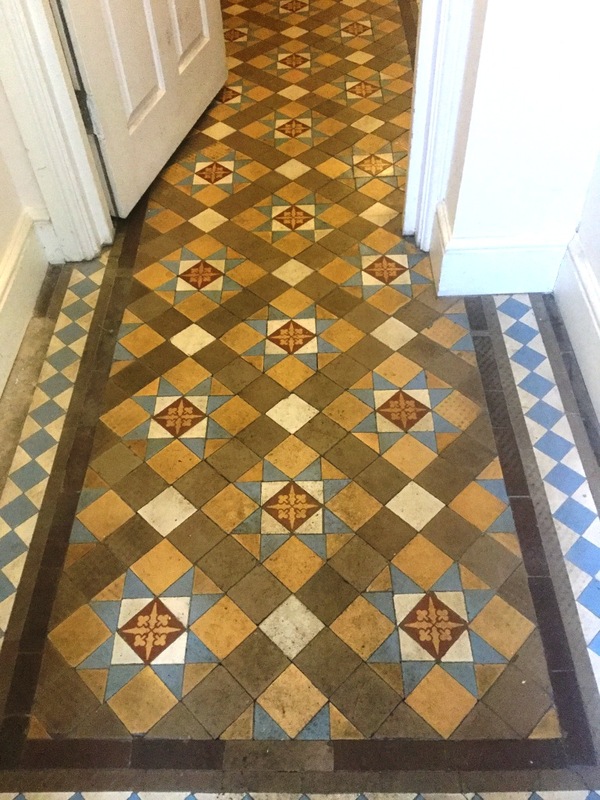 I agreed with the client that the best course of action would be to fill the tiles, and paint the damaged tiles using a colour that matched as close as possible. Many of my Tile Doctor colleagues would disagree with this approach opting to source the correct tile and rebuild the damaged section however unfortunately in this case we didn’t have the time or the budget. My first action was to use a brush and vacuum to remove as much loose debris and dust as possible. 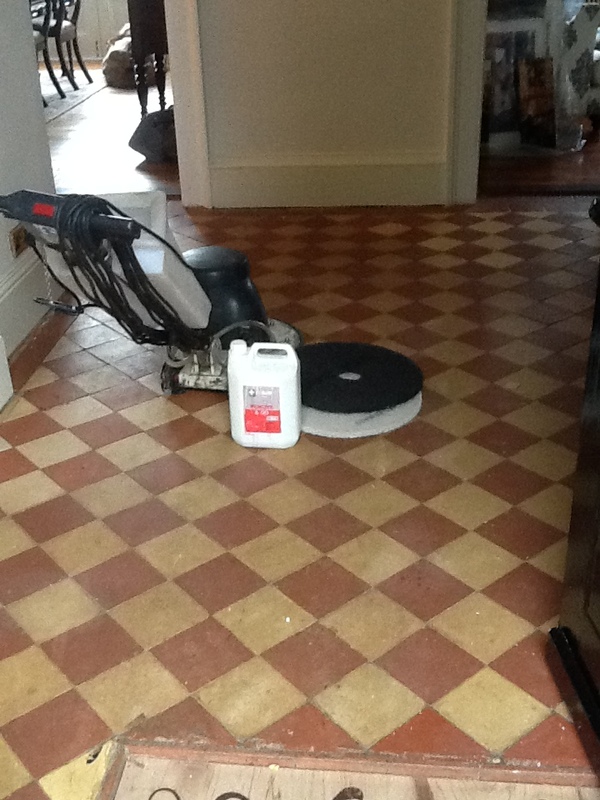 I followed this by agitating the tiles with a dilution of Tile Doctor Pro Clean which is a strong alkaline product and safe to use on tile and stone. I use a combination of a coarse burnishing pad fitted to a rotary machine and hand held brushes, in order to get the floor clean. The resulting slurry was then rinsed and removed using a wet vacuum. 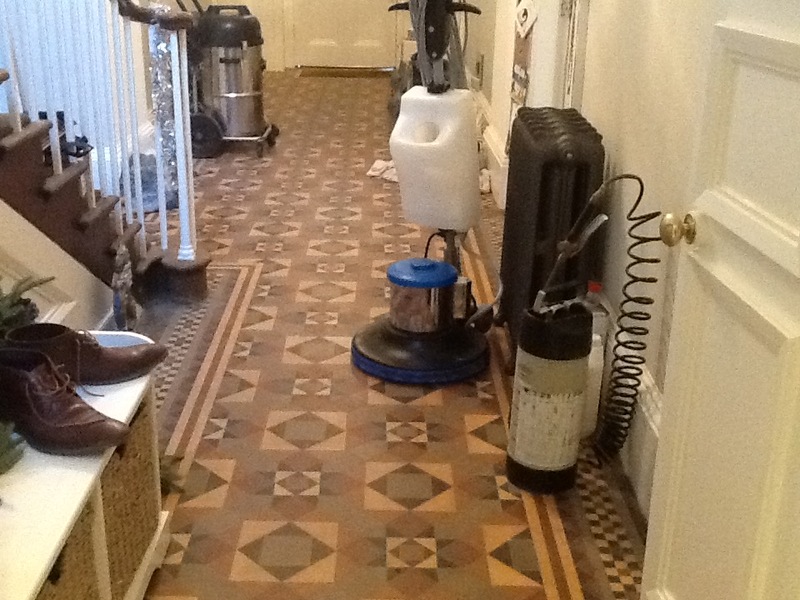 This process was repeated twice followed by a thorough rinse to ensure any trace of cleaning agent had been removed and the floor neutralised. 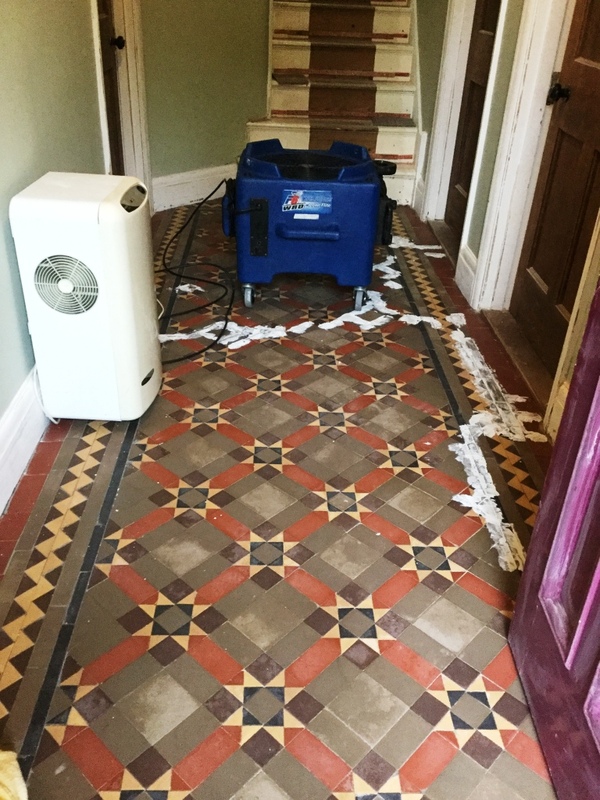 As this was such an old property, I then used a steamer to heat up the tiles in order to draw out any contaminants and assist with the drying process. 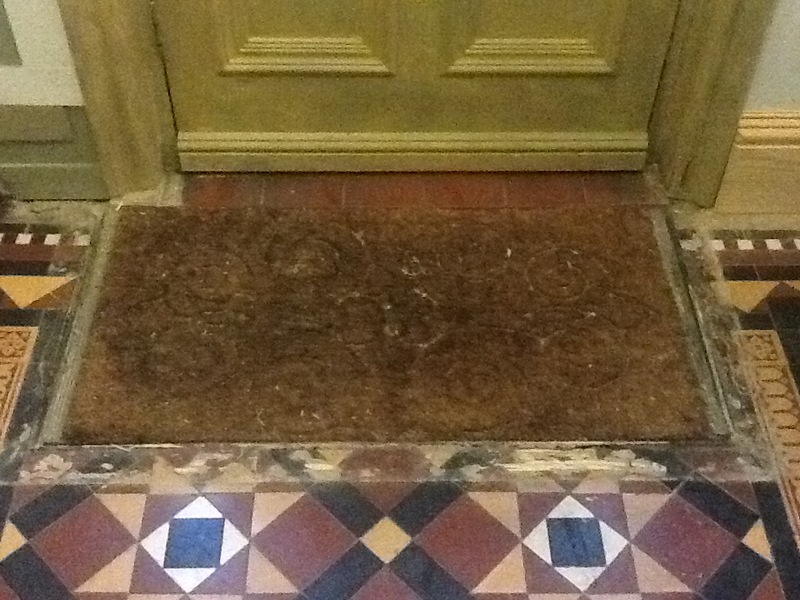 I installed a fan to dry the floor before starting repairs, mixing up some coloured grout and filling all holes and cracks along the edges, including the doormat area. 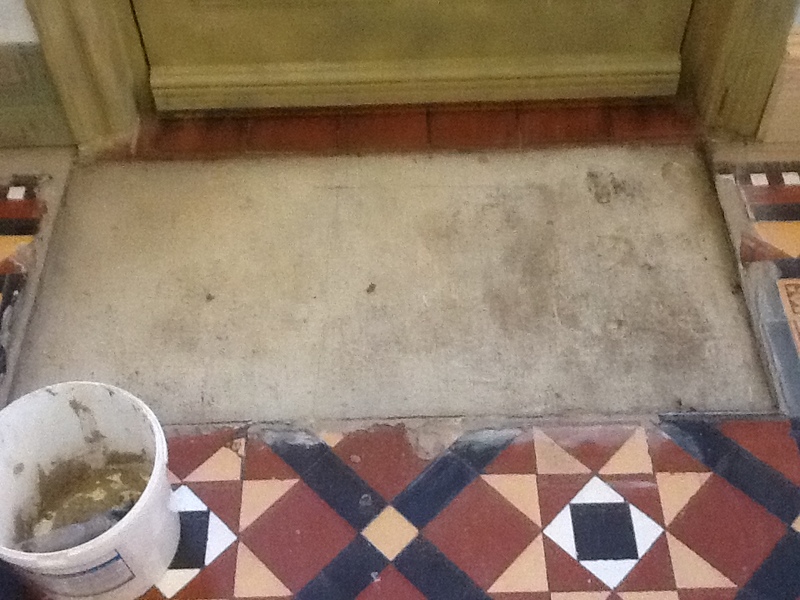 I allowed the coloured grout to dry overnight, before hand painting the black and Terracotta tiles. These were then given time to dry (about a couple of hours). Following this, I carefully painted in the other colours: brown and cream. The overall effect was quite convincing and you had to look very closely to notice. 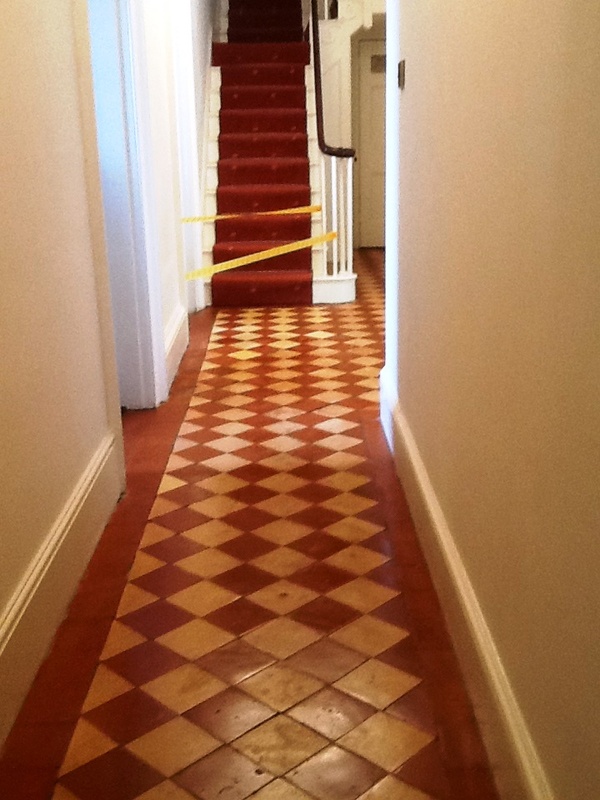 Due to the fact that there were other tradesmen working in the house at the time, the floors were sheeted up to protect from additional dust and muck. 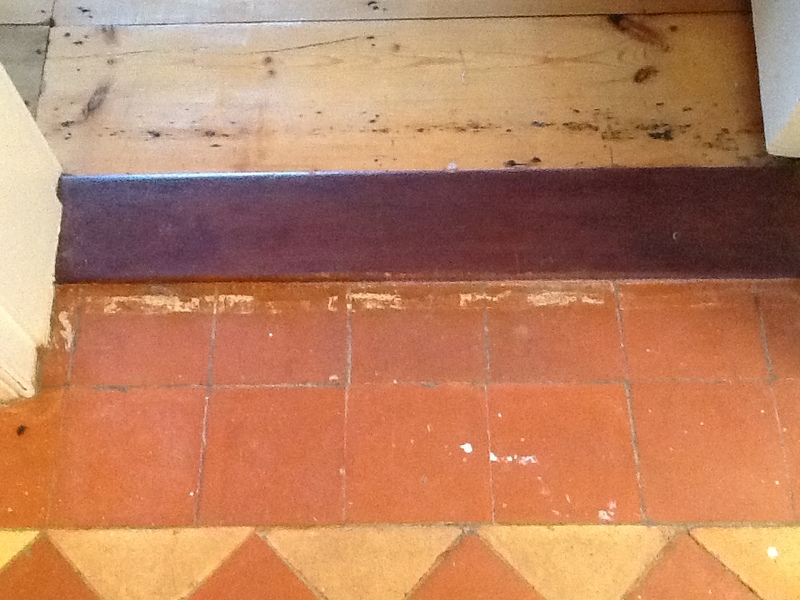 I then left the house for a week, allowing the floor ample time to dry completely in preparation for sealing. 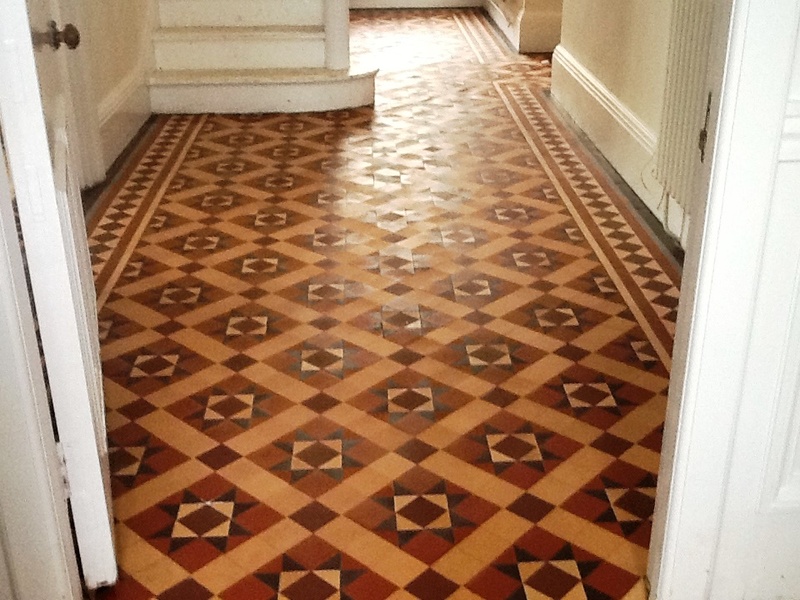 Upon my return, I took damp meter readings, and once satisfied with the dryness of the tiles, I began the sealing process with the impregnating, colour-enhancing sealer Tile Doctor Colour Grow. The sealer provides both durable surface protection and an aesthetically pleasing matte finish. The below photos show how the product has enriched the colours with the two coats applied. 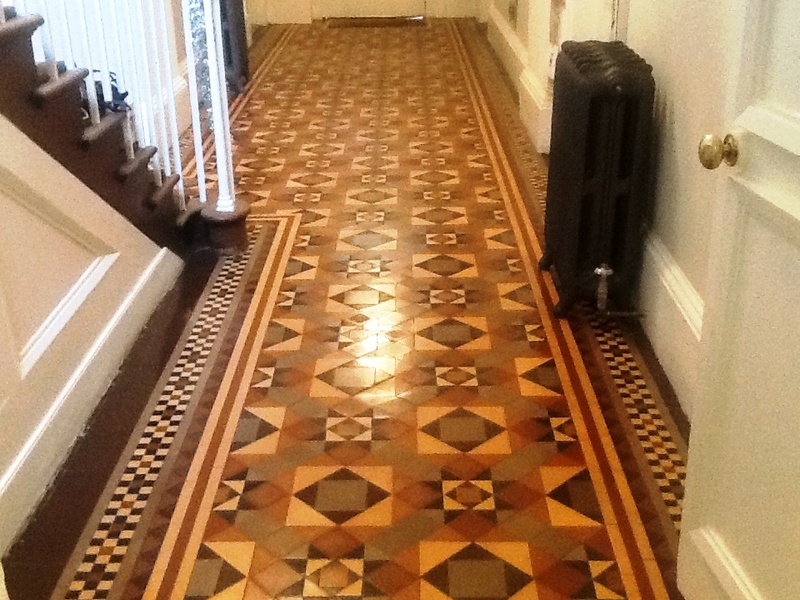 The process of restoring this wonderful Victorian Quarry tiled floor was certainly time consuming, but very rewarding. 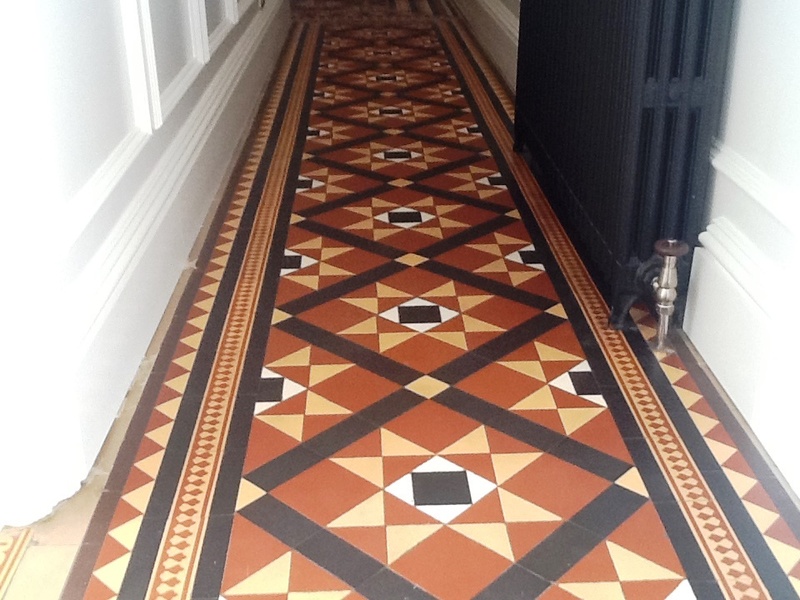 I am exceptionally pleased with the results myself, and my client couldn’t have been happier and I’m sure the newly revitalised hallway will have been a talking point for all their visitors during the Christmas break. 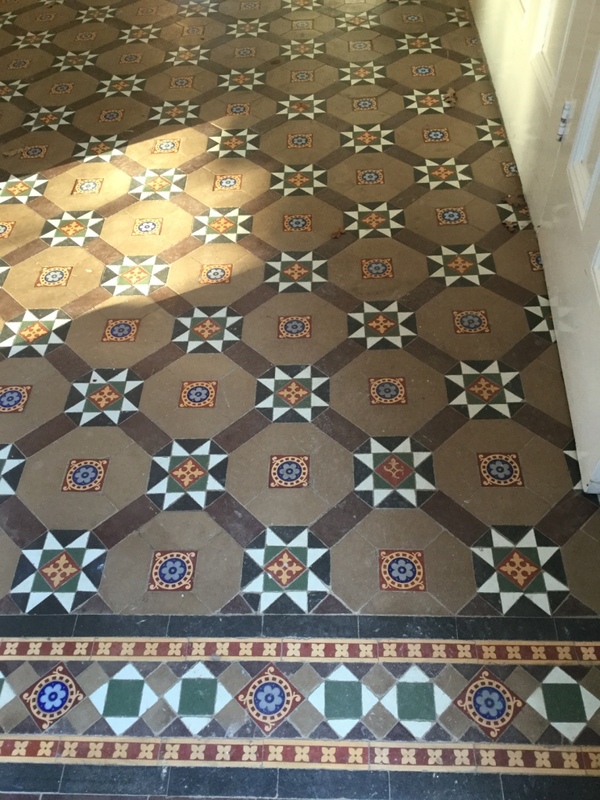 I recently completed quite a substantial cleaning job at a house in the small, historic market town of Oundle, Northamptonshire. 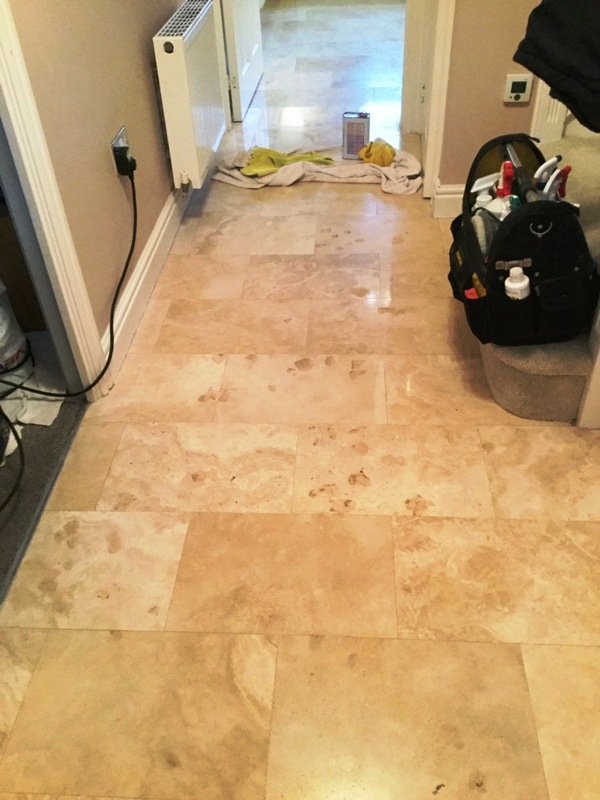 My client had a badly stained Travertine tiled floor that ran throughout her hallway, kitchen, utility area, and toilet. 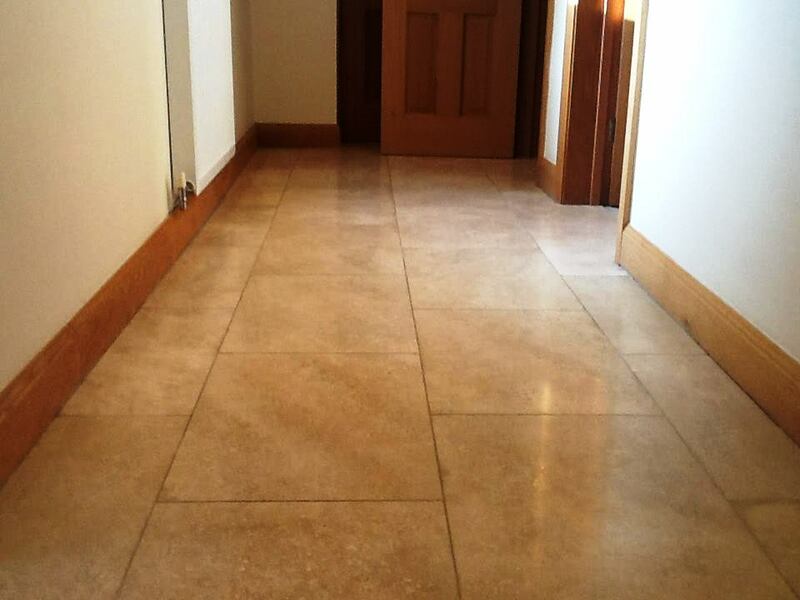 Travertine is a fantastic choice for tiled floors because it has distinct features which no other stone can offer. 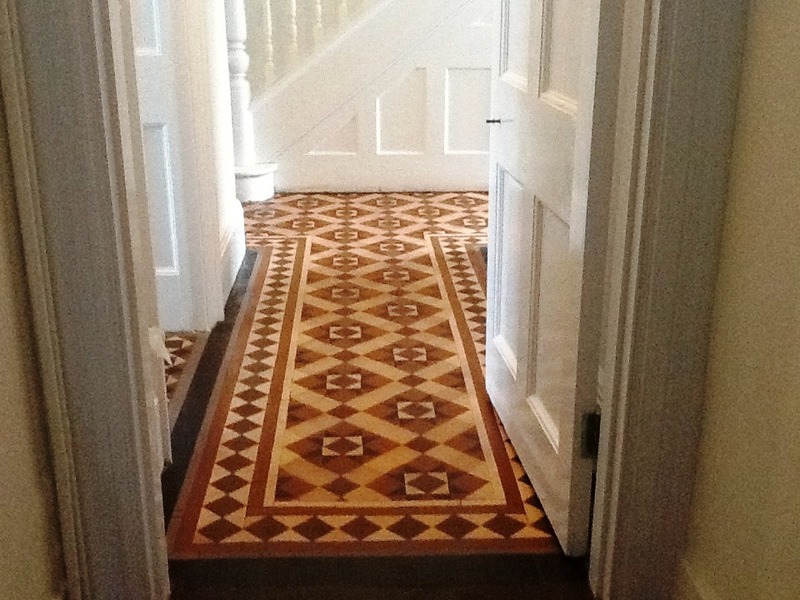 It’s not surprising, then, that is popularly used for both residential and commercial flooring. 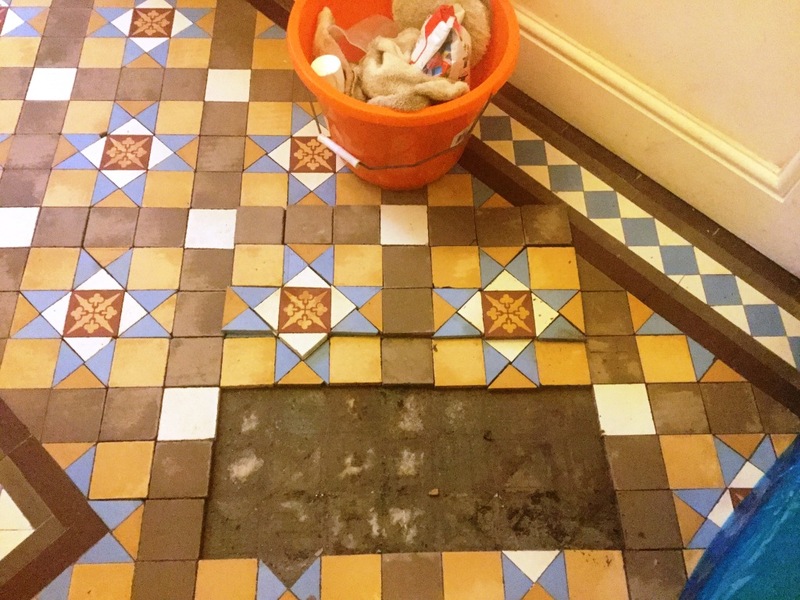 In this case however the appearance of the tiles had been further spoiled by dozens of holes, and my client had attempted to remedy this problem by filling some of the holes with concrete. This had left the floor looking inconsistent and certainly worse for wear. 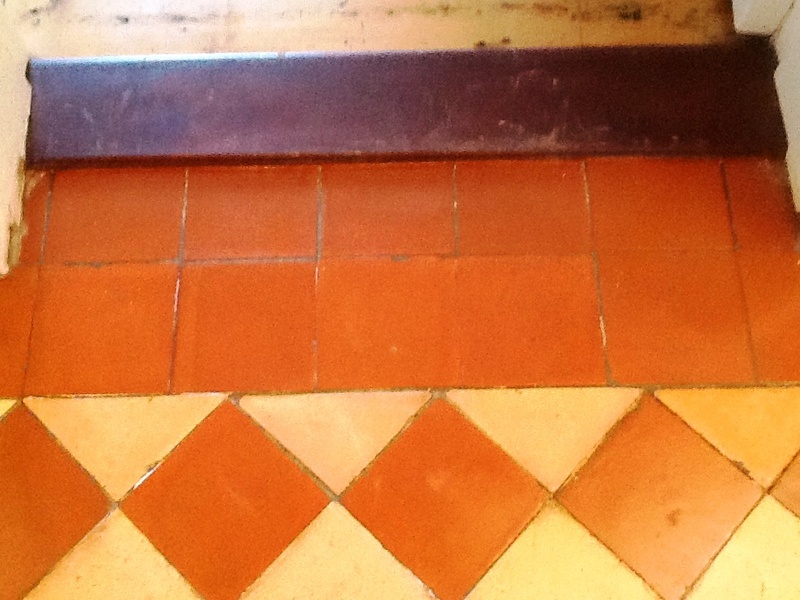 On day one, my first job was to address the holes marked the tiled surface. I filled the unsealed holes with matching filler, before re-colouring the concrete that had been previously used as a makeshift sealer, thus creating greater consistency in the appearance of the floor. 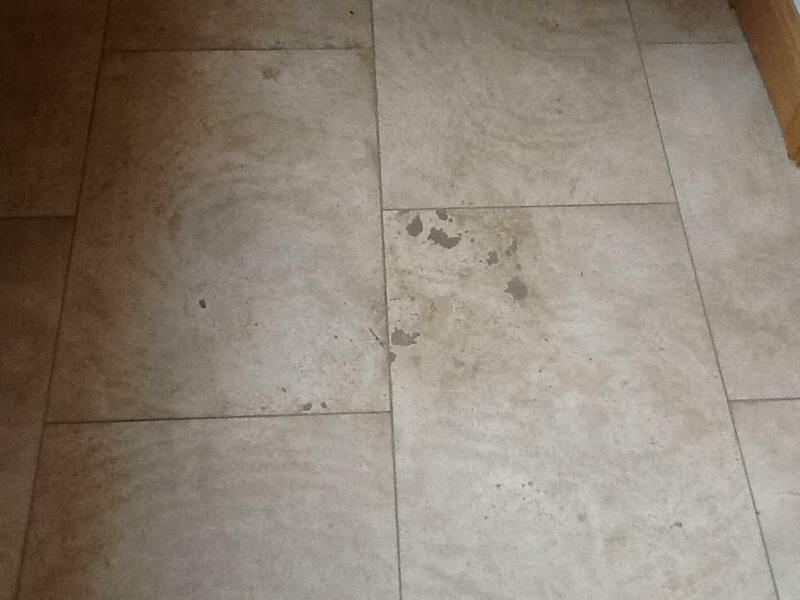 Following this, I made a strong dilution of Tile Doctor Pro-Clean, which is a high alkaline cleaner which is safe to use on stone, in order to tackle the bad staining on the tiles and grout lines. 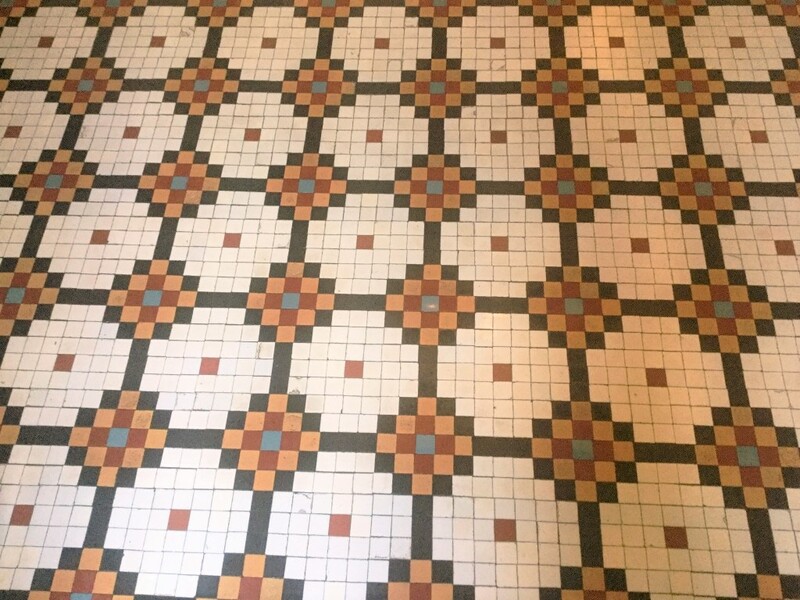 Once applied to the floor, the solution was left to dwell for a short period of time. By allowing the solution to sit like this, the cleaner is able to seep into the stone, get underneath the dirt and stains, and lift them to the surface. 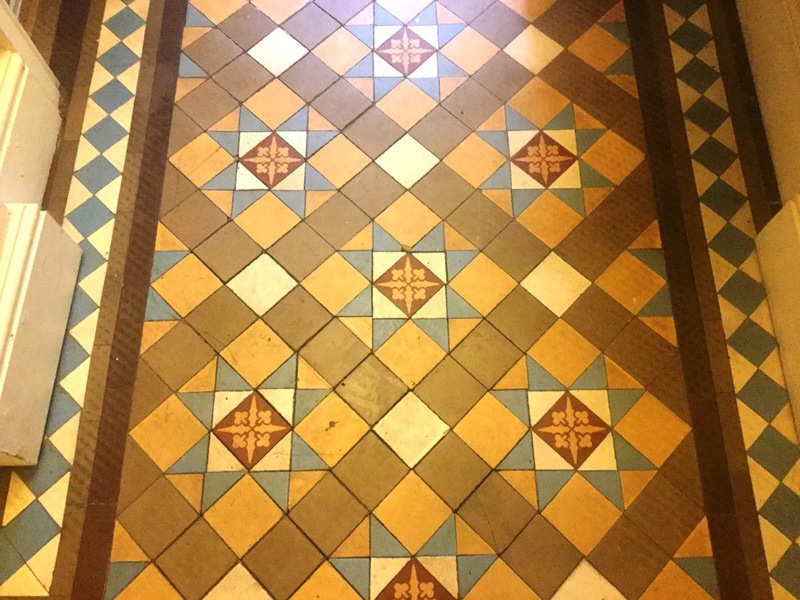 Pro-Clean is highly effective at treating stained tiles, while common acid-based, household cleaning products can cause further damage over time. 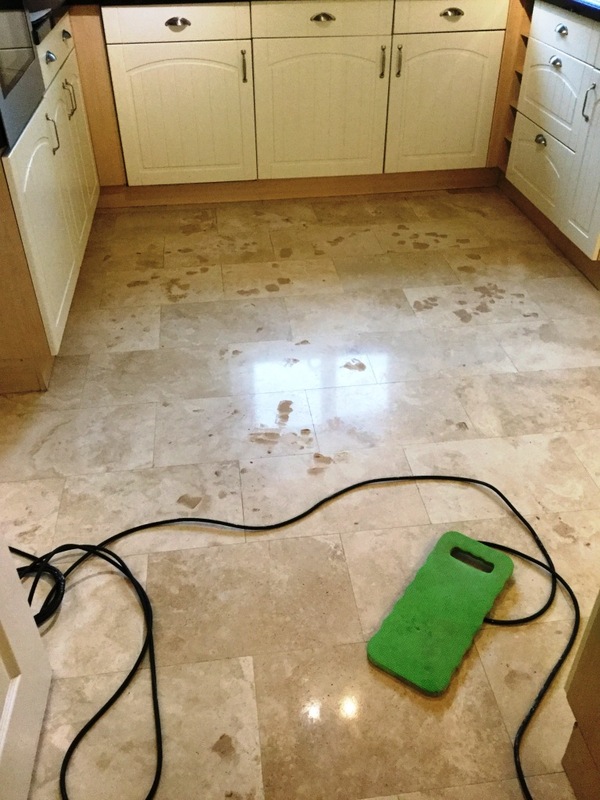 To remove the resulting muck from the surface I used a set of Tile Doctor Burnishing pads applying them individually to each tile in sequence from Coarse to Fine, rinsing the floor in-between each pad and removing the resulting residue using a wet-vac machine. 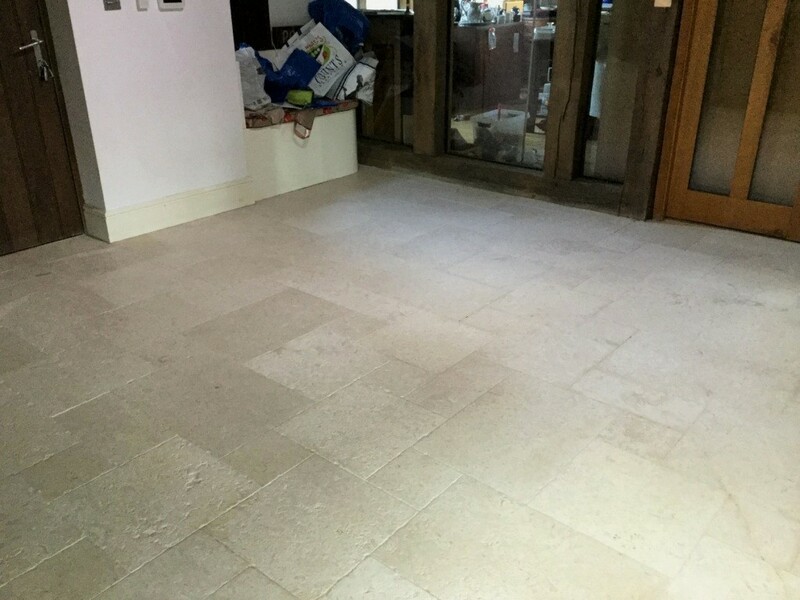 The pads are encrusted with diamonds and are ideal for bringing back the finish of Travertine and did a great job of making the filled holes look part of the original floor. 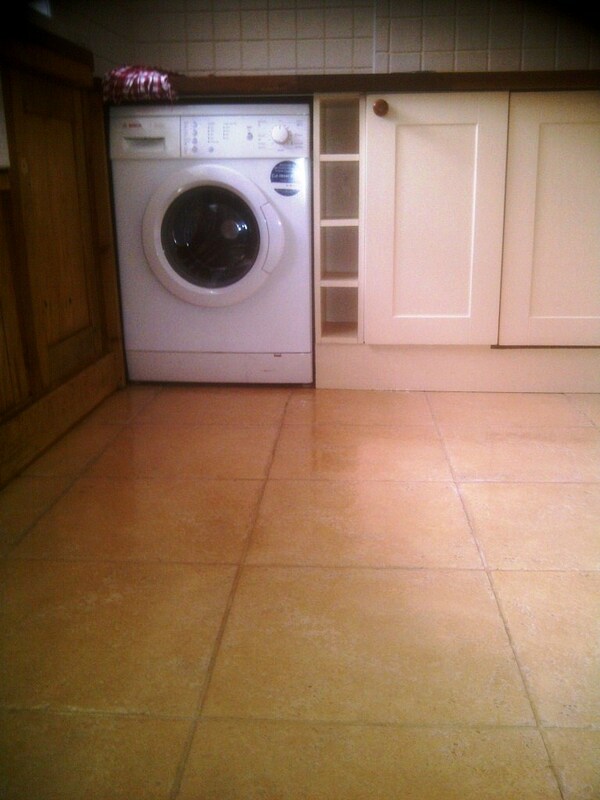 After leaving the floor to dry overnight, I returned to the house to seal the newly cleaned tiles. 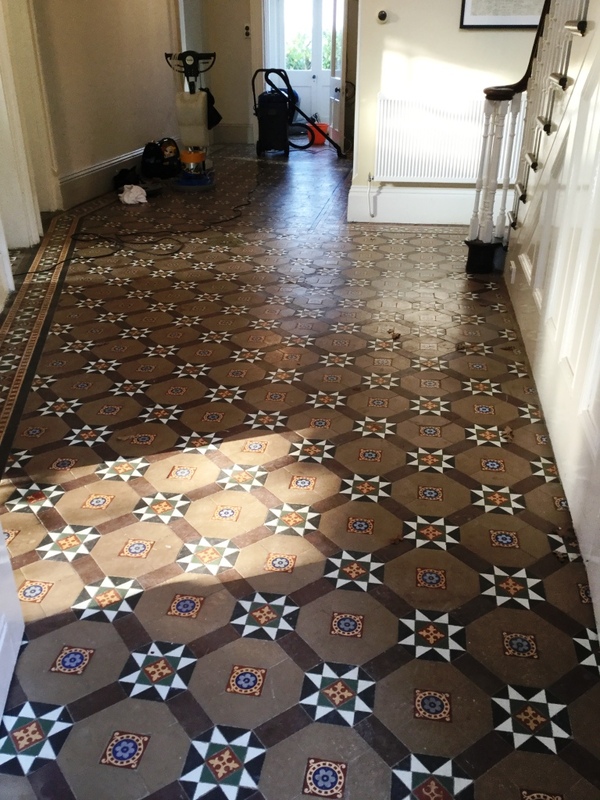 I did this using Tile Doctor Colour Grow, a colour intensifying sealer that also provides a durable surface seal and pleasing finish (as you can see from the photographs). “Phil was reliable and very professional. Written quote provided detailing in exact detail the work to be done and the products to be used. It was a large area that needed to be treated. Arrived on time and got the job done in good time. Certainly recommend Phil”. 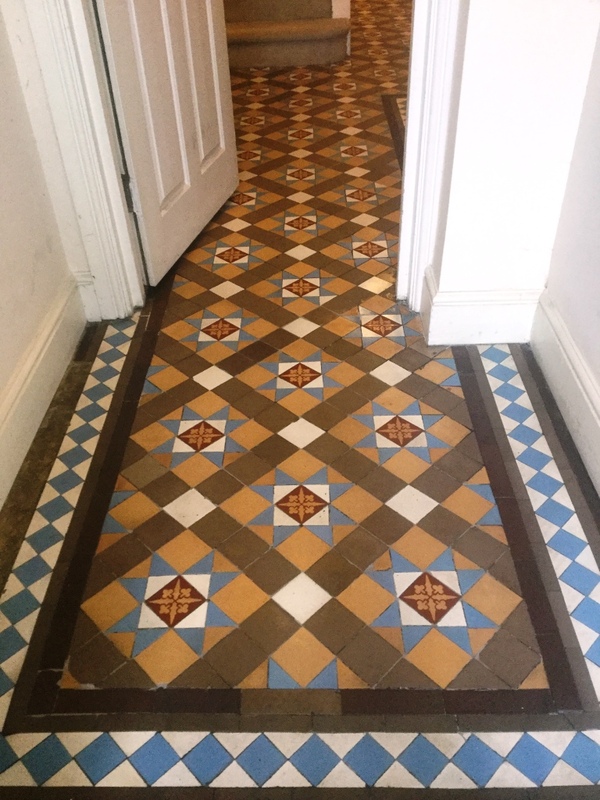 This was a restoration I did for a couple living in Hackleton, Northampton, who had just moved into their new home and wanted their recently discovered Quarry tiled hallway fully restored before their housewarming party. 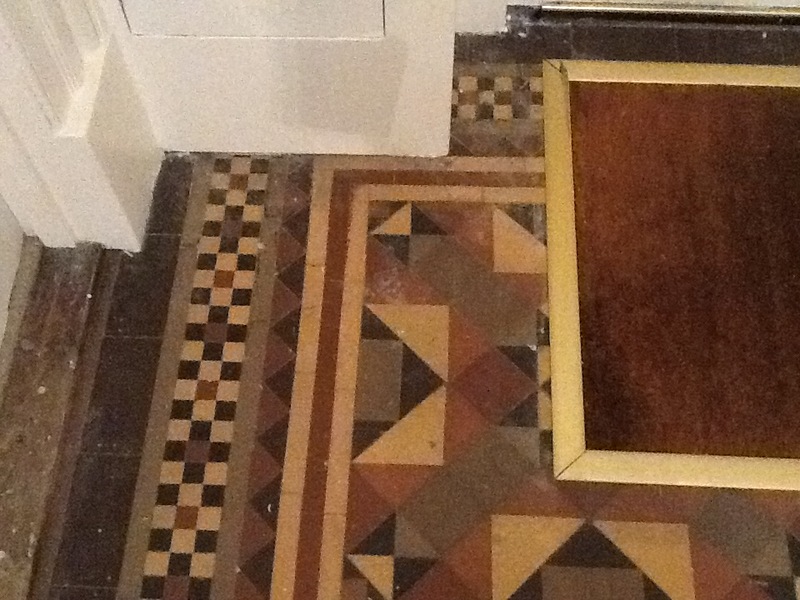 The couple had lifted up the carpet upon moving into the house to find a dirty and damaged floor beneath. 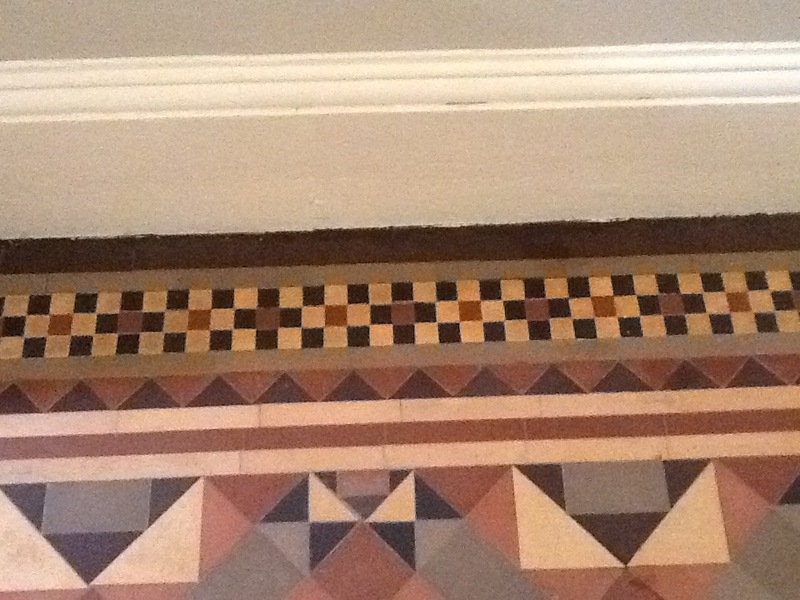 It had been marked with glue around the edges where the carpet gripper rods had been stuck down upon installation. 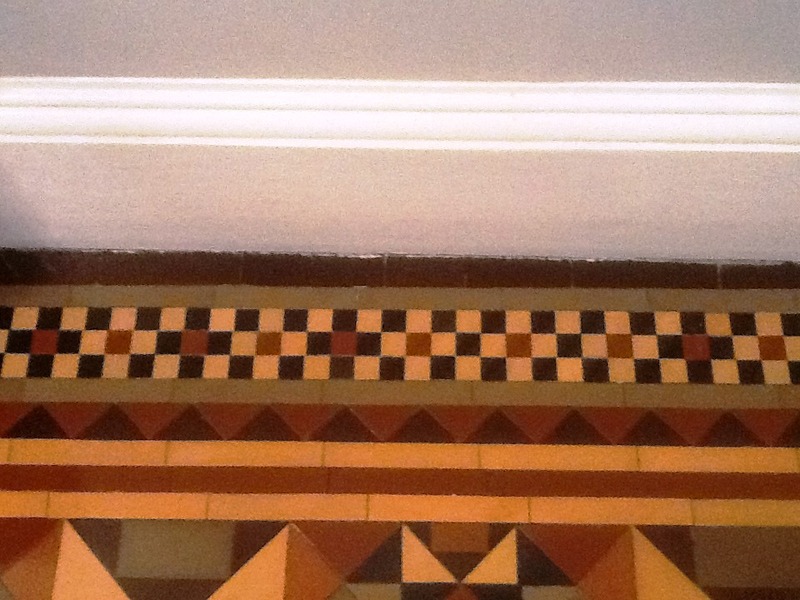 My clients had attempted to remove the unsightly glue marks themselves using a chisel and hammer. 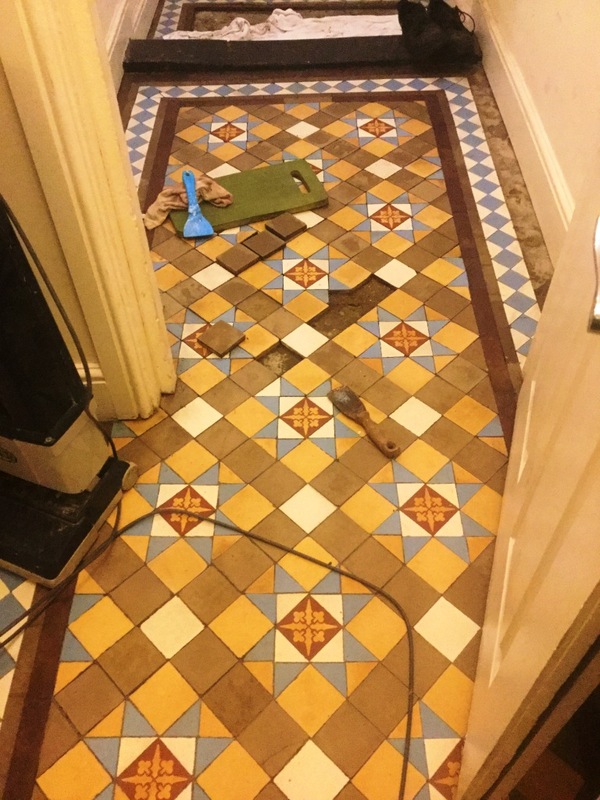 Unfortunately, the DIY job actually caused further damage to one tile, leading to the couple seeking the services of a professional to complete the job properly. It was especially important to have the floor ready quickly, as there was only ten days to go before the housewarming party. After providing the couple with a quote, I began working on the hallway. 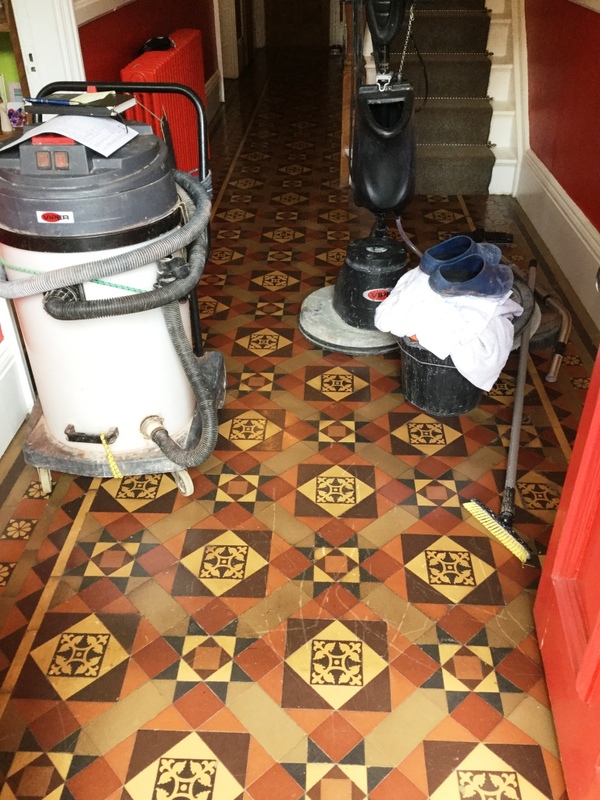 My first task was strip the Quarry tiles of the old sealer using a combination of black stripping pads and Tile Doctor Remove & Go, a multi-purpose product which contains both strpping and cleaning properties. 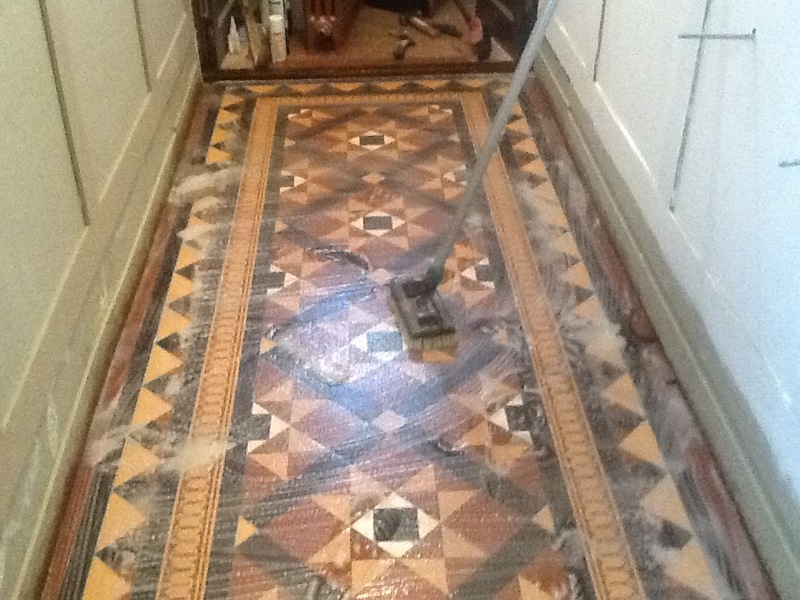 Remove & Go was left to soak into the tiles before being scrubbed into the floor using a rotary scrubbing machine. After successfully breaking down the layers of old sealer, I rinsed the floor using clean water and soaked up the residue with a wet-vac machine. 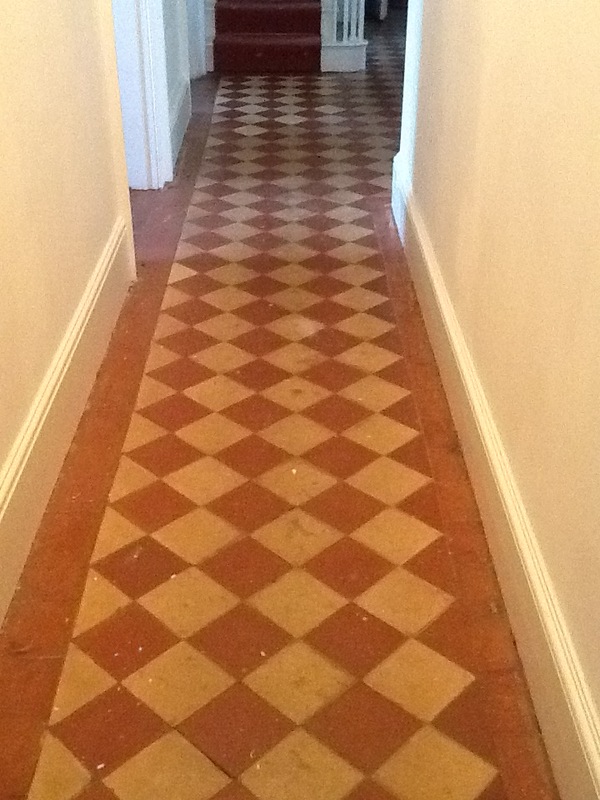 The next stage of the job involved removing the old glue marks by hand from around the edges of the hallway. 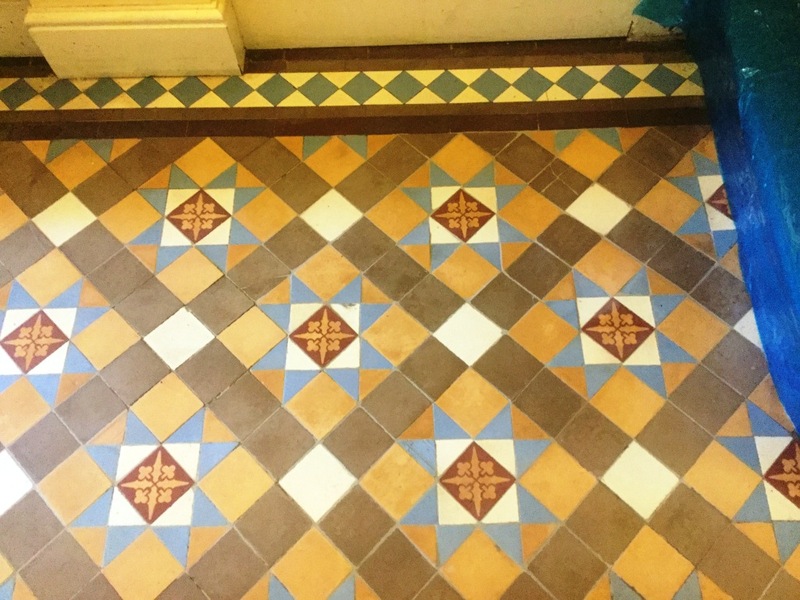 This was painstaking work in which I utilised both a scraper and a hand brush to carefully rid the tiles of these blemishes. Working in small, two metre sections of the floor, I then applied a second coat of Remove & Go, allowed it to soak into the area for a further ten minutes, and then rinsed it with clean water. During my inspection of the floor I also noticed a few splashes of paint, which I duly removed by hand. Due to the pressure on time leading up to the housewarming party, I needed to speed up the drying process. I did this by installing a dehumidifier and a turbo fan. 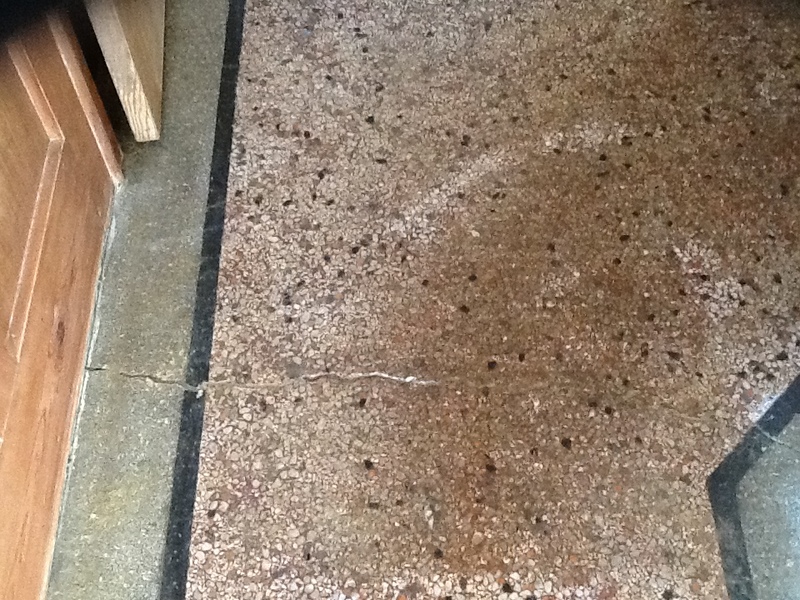 The floor was then left to dry for more than 24 hours before I returned to complete the sealing. Upon my return I took damp meter readings in order to determine which sealer would be the best to use. 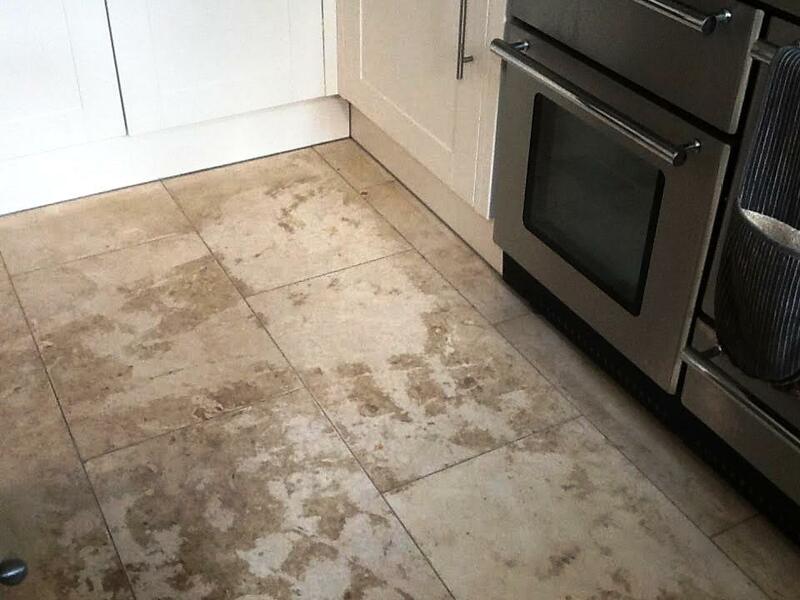 I resolved to use Tile Doctor Colour Grow, an impregnating sealer which is fully breathable, allowing dampness to escape from this type of tile. 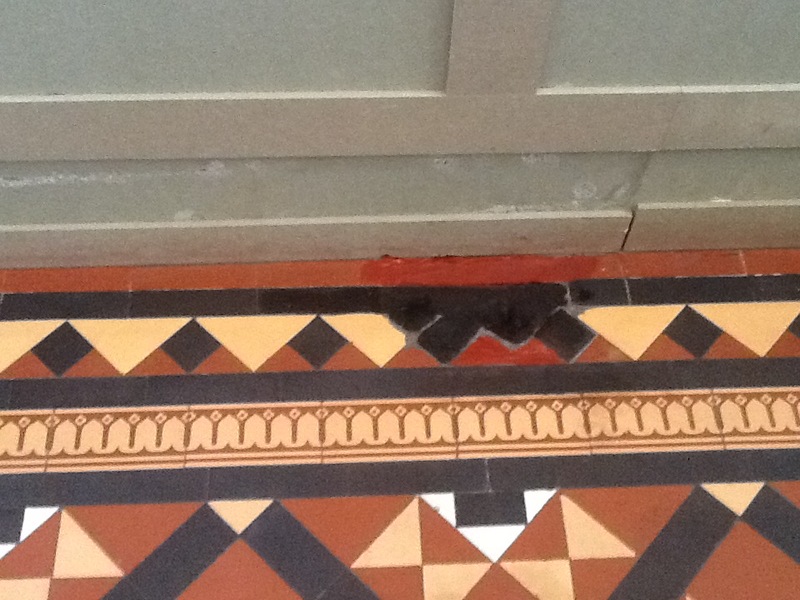 This is important, as the tiles had been first installed many years ago with no damp proof membrane. 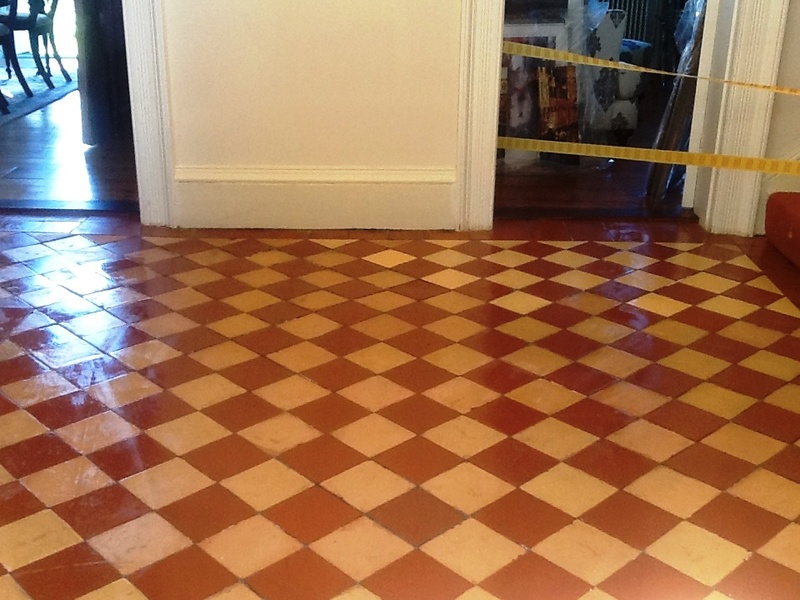 As the sealer dried it provided the floor with a nice, light sheen. Since Colour Grow is also specially designed for colour intensification, the fantastic natural shades and colours in the Quarry were really brought to life again. 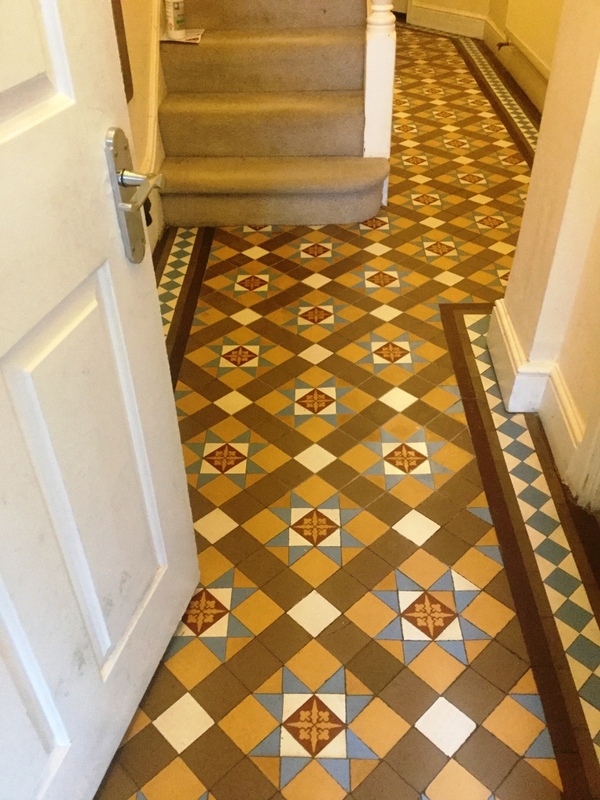 My clients were extremely pleased with the results, with the prompt and efficient service ensuring that the job was completed in good time for their housewarming party. 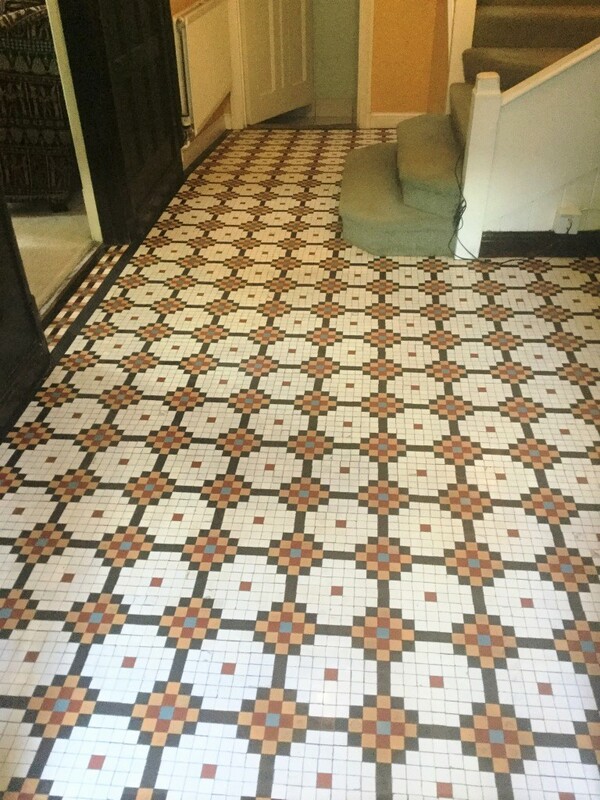 This customer asked me to pay a visit following work to refurbish the house and wanted to restore as many original features as possible; work had been going on to restore coving, picture rails, ceiling roses and fireplaces but unfortunately nobody had thought to cover up the beautiful Victorian floor. When I arrived there was plaster dust and splashes of paint all over the floor that needed attention. A quote was given which was accepted and the work was booked in for the following week. 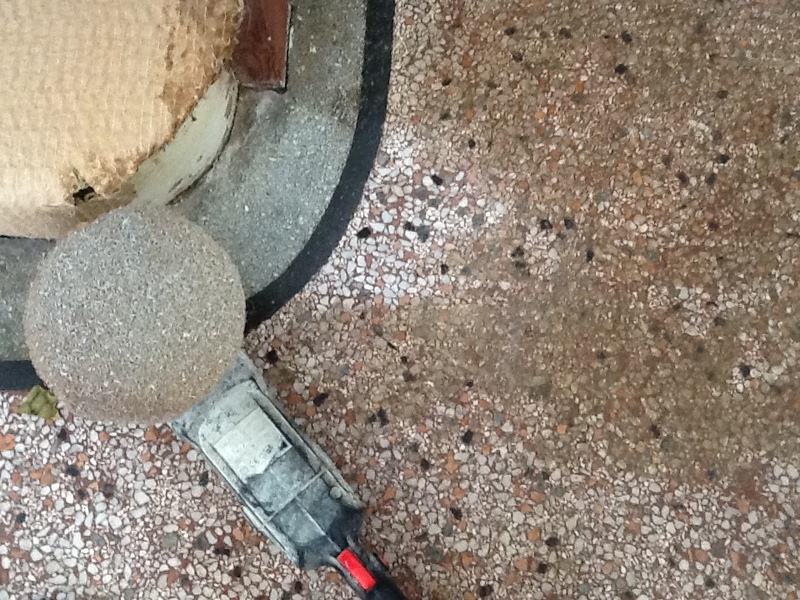 My first course of action was to vacuum the floor to remove any loose debris so I could assess how to proceed. 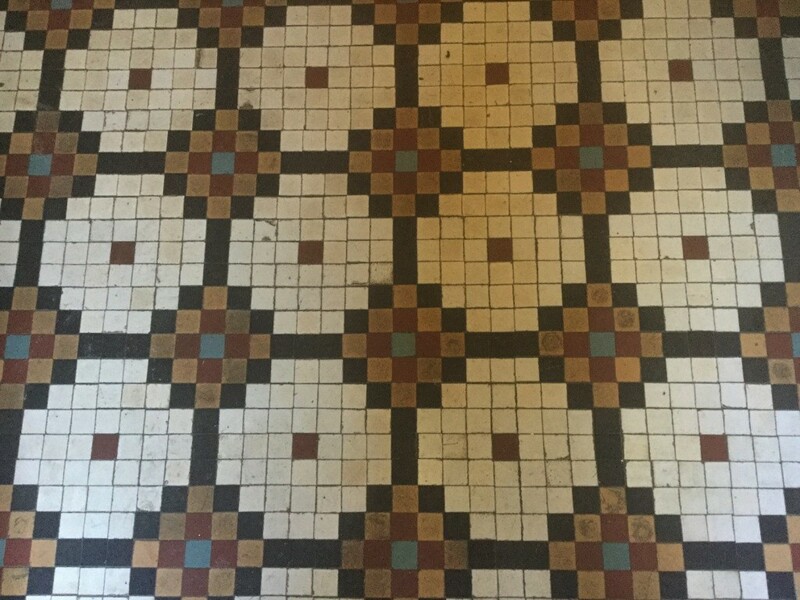 I then applied diluted Tile Doctor Pro Clean with a pump up sprayer and left it to dwell on the tiles for fifteen minutes before working it in with a black scrubbing pad and hand brushes. The now soiled cleaning solution was then rinsed off together with most of the plaster and surface dirt which had come away in the process. I was then left with a few paint splatters which I removed by spot treating by hand with Tile Doctor Remove and Go; it became clear at this stage that the Pro-Clean had not removed all the old sealer and so I decided to spray the whole floor with a dilution of Remove and Go and work it in with brushes, the solution was left for a further ten minutes and then rinsed away with an extraction machine. 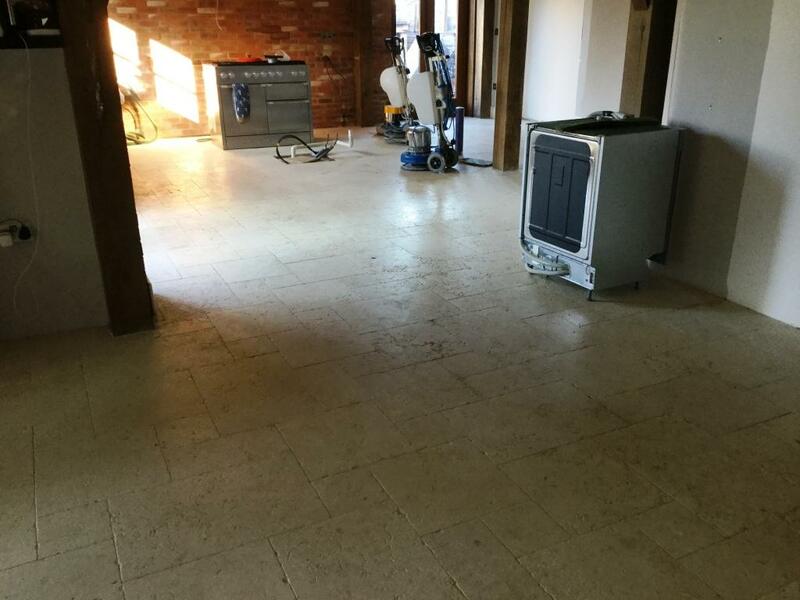 The floor was left alone to dry for several days with a fan on site to assist the process. 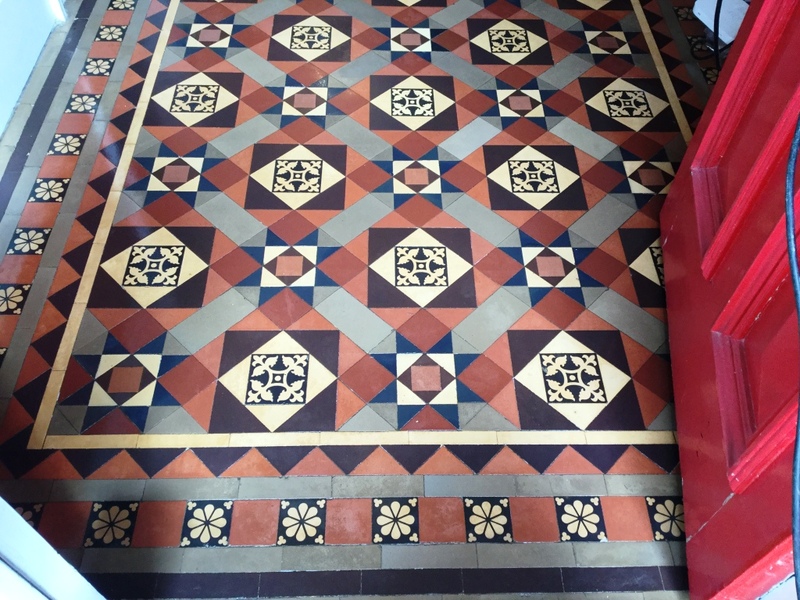 The customer wanted the floor to look traditional and requested a matt finish so when I returned to site two coats of Tile Doctor Matt Colour Grow Sealer was applied. 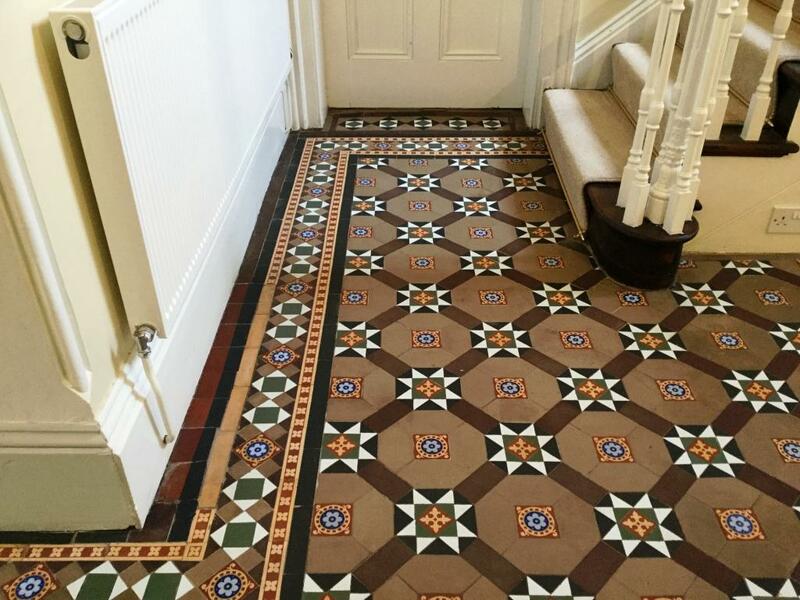 Colour Grow is breathable and will allow any damp to evaporate without disrupting the finish, this is important as floors of this age were laid without any damp proof course or membrane which can sometimes result in damp issues.